Are you wondering what is clean eating? Would you be surprised to hear that there really aren’t any health goals you can achieve without it? You just cannot get healthy without eating healthy. You can exercise the most of your time, but the food is the most important thing for a good health. If you eat whole, healthy and fresh foods, your body, skin and soul will glow with health that gives you endless energy. 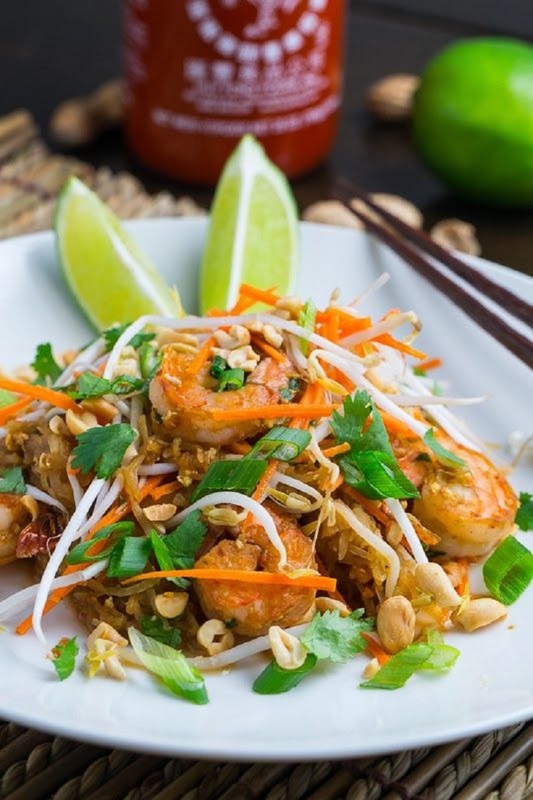 Check out our list of TOP 10 clean eating recipes! Cooking and eating the healthiest of foods, that will help you maintain a healthy weight and be healthy as well. With all the vitamins they contain and all benefits they have on us, you will see and feel the results very soon! Here are 30, Best Clean Eating recipes that you can try out. Giving up sugar can be the hardest task for many us. But, deciding to live the clean eating lifestyle doesn’t mean saying goodbye to all the sweets. 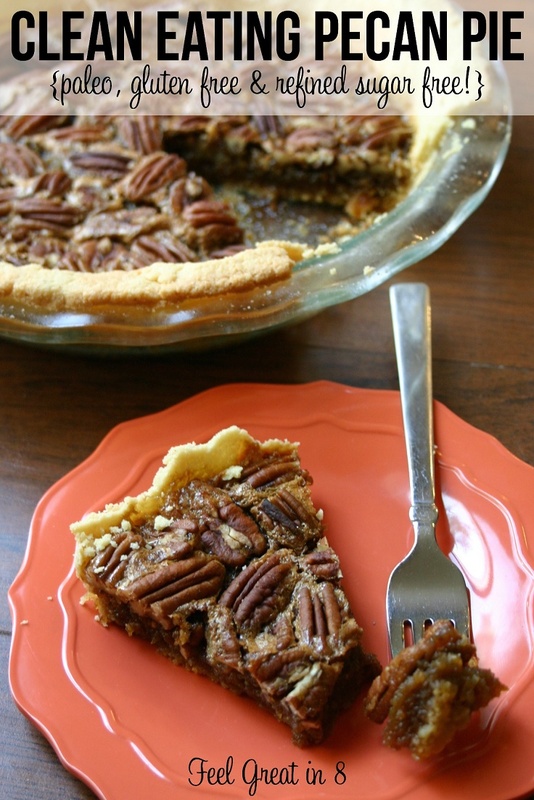 Some desserts, like the Pecan Pie can be the very thing you need. To prepare it, you need almond flour, sea salt, unrefined coconut oil, eggs, pure maple syrup, unrefined coconut sugar, butter or ghee, vanilla extract and pecans. Salads are always a good idea. They are easy prepare and will make you feel full for hours. 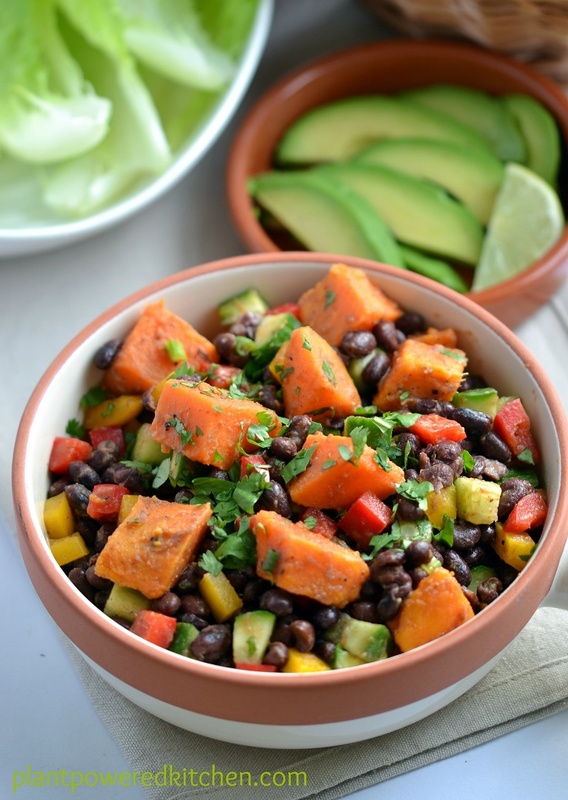 One of the salads that you can include in your clean eating menu is the Smoky Sweet Potato and Black Bean Salad. Besides the two main ingredients, you can always add something by your choice. Bell peppers, onion, chives, herbs and spices, and even some sauces will do the trick. 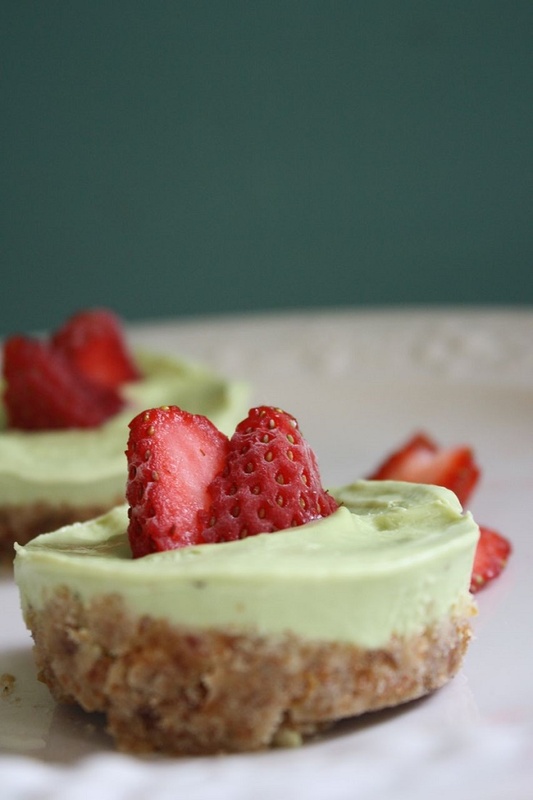 Creamy desserts are always welcome, especially if they are as tasty as the Key Lime Pie. One slice of it can go really well with your morning cup of coffee or tea. It has an amazing filling made of avocado, lime juice, coconut oil and raw honey, while the crust is made of almond pulp, dates and a pinch of salt and cayenne. It’s really easy to prepare these mini pies. Blend the filling and crust ingredients separately. Place the crust mixture into muffin tins and spoon the filling. The avocados are considered as one of the healthiest foods because of their benefits. They are tasty and can be combined in many meals. You have probably heard and tasted yourself the deliciousness of an avocado toast, but trying something else would be good too. This recipe is all done in 5 minutes. 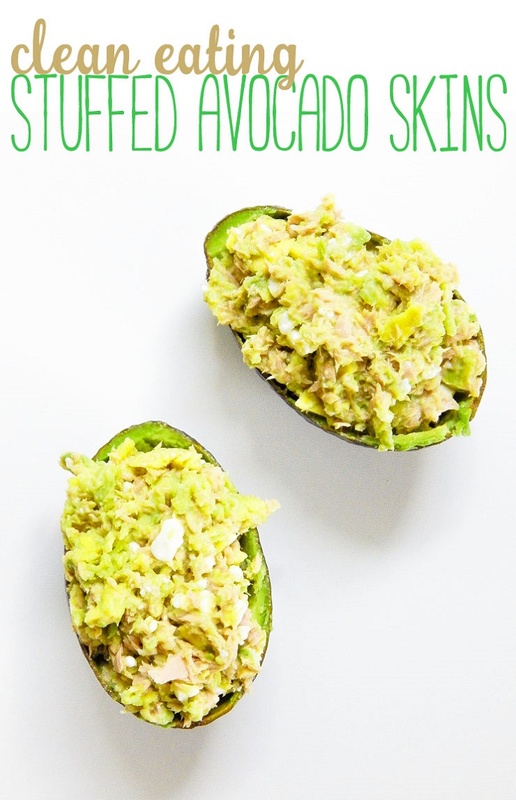 All you need to do is just pop out the inside of the avocado and mash it along with low sodium tuna and cottage cheese. Place the mixture in the skins and enjoy! The combination of sweet potatoes and chocolate may not sound like something well, but this dessert is worth trying. 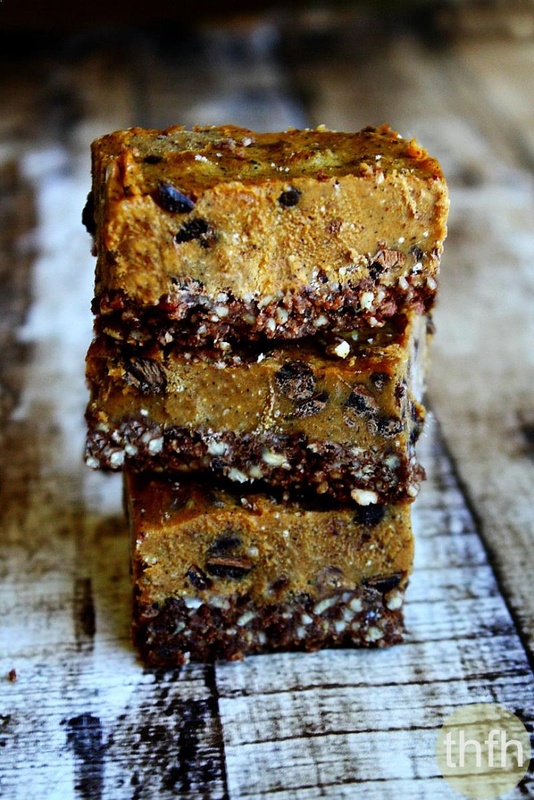 For the bars you need organic pureed sweet potatoes, organic almond butter, organic maple syrup, organic coconut oil, chocolate chips and Himalayan sea salt. For the crust you need organic pecans, medjool dates, organic coconut oil and organic raw cocoa powder. The recipe makes approximately 16 bars. 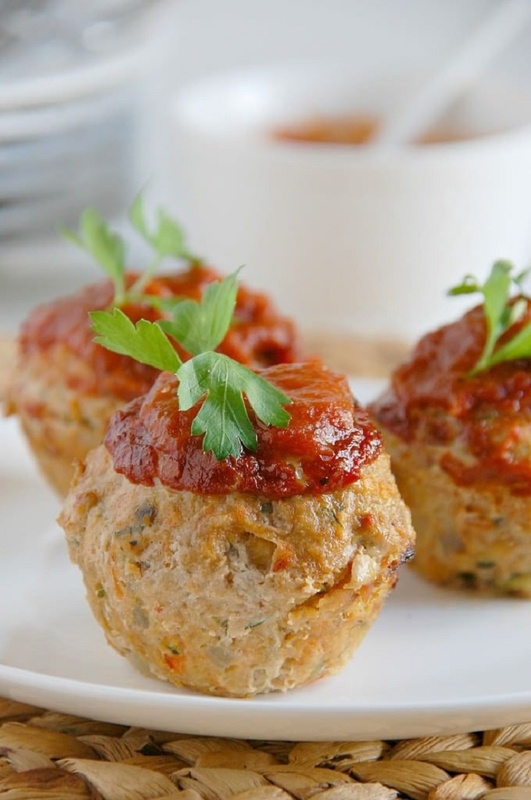 Part of our Best Clean Eating recipes selection are the Meatloaf Muffins, they can be the perfect choice for any time of the day, breakfast, brunch, a snack, your choice. They take approximately two hours to prepare, but all the effort is going to be worth it once you taste them. The muffins are made as mixture of delicious ingredients, such as ground turkey and ground pork, mushrooms, zucchini, pepper and onion (check the link for more details) and the muffins on top have a very delicious homemade roasted tomato sauce. Trying to make our children eating healthy food can be hard with all the sugary desserts that can be bought in every store. One of the ways to make them eat healthy is by preparing it for them. There are many desserts that do less harm than the bought ones. 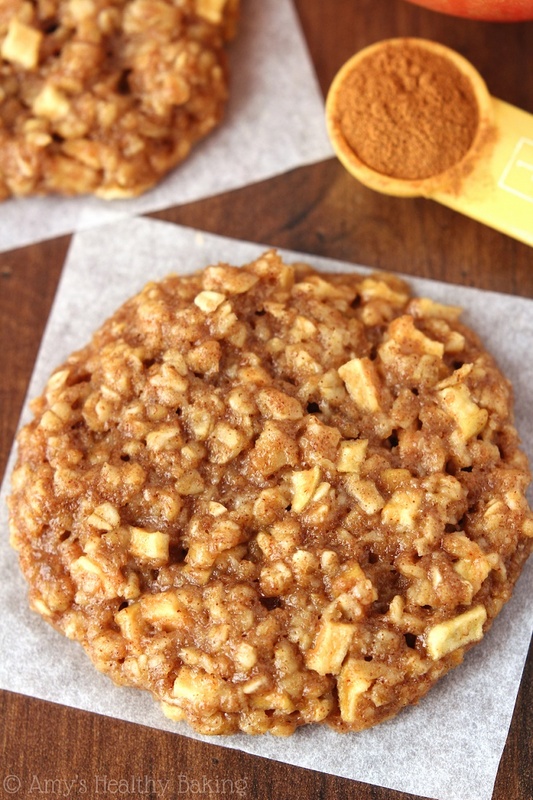 You can prepare the soft and chewy Apple Pie Oatmeal Cookies and pack them for school or serve them after lunch. The combination of apples and cinnamon is always a winner. 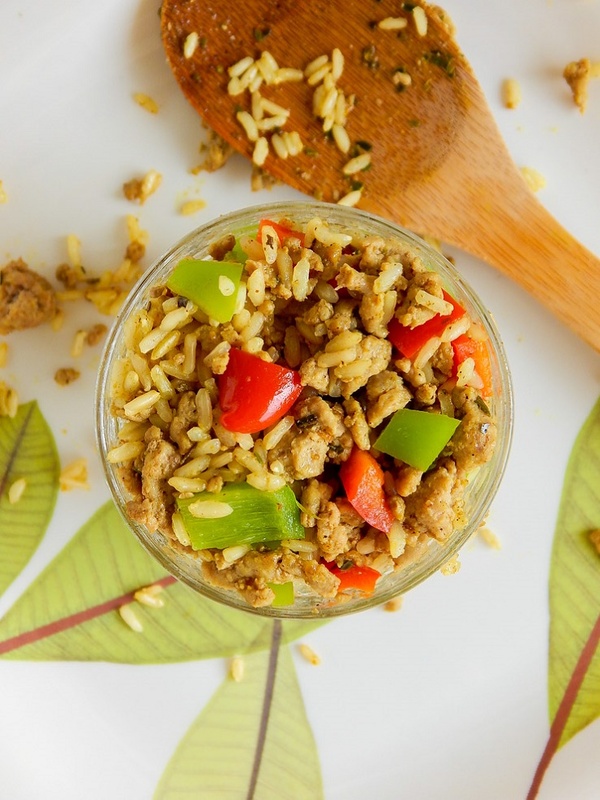 Done in less than 30 minutes, for this recipe you only need six ingredients: curry, turkey breast, long grain brown rice, dried oregano, sweet red pepper and cubano pepper. If you like Indian cuisine, then you will definitely like this simple, yet very delicious lunch, brunch or dinner option. Curry and rice is a great combination and will keep you full for a longer time. This bowl can serve you as dessert, or as breakfast or brunch. It’s a good idea to prepare it during days when you are busy or just feeling lazy. 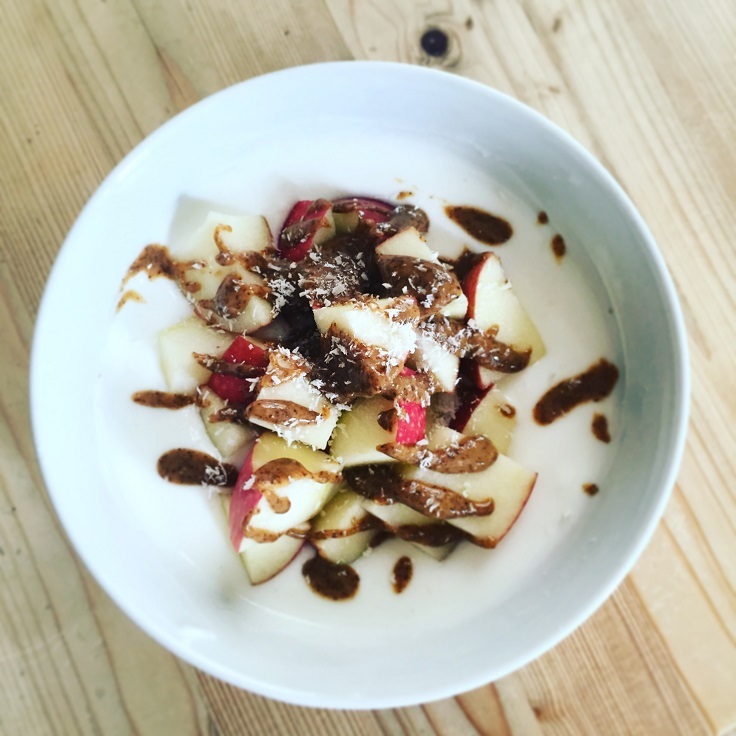 All you have to do is mix Greek yogurt with coconut milk and in this recipe are used apple, almond butter and unsweetened shredded coconut as toppings. But, you can always add something else, like nuts or more fruit. 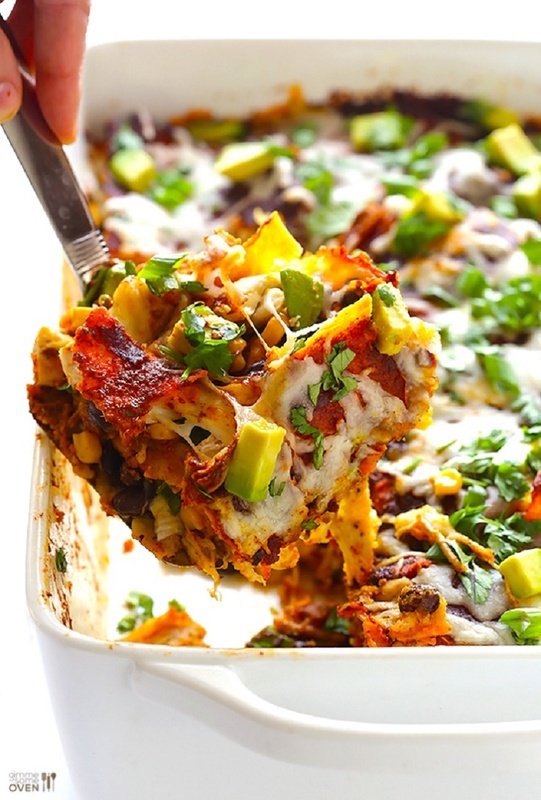 Perfect for lunch or dinner, the Chicken Enchilada Casserole is prepared in less than hour, and it will take definitely even less than that to eat it! The recipe has the charm of the Mexican cuisine, for what you need enchilada sauce, corn tortillas, black beans, kernel corn, chicken, scallions, blend cheese, avocado and fresh cilantro. When you are looking to loose weight, you need meals that are rich in protein and low in calories. 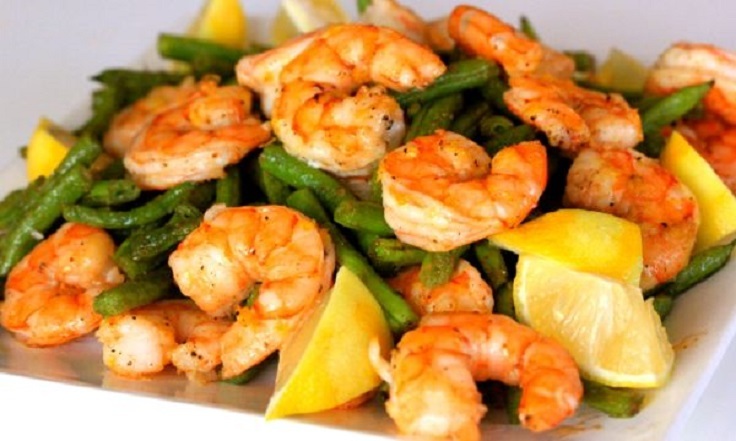 Shrimp is one of your best bet. It is filling, healthy but without those ‘bad fats’. 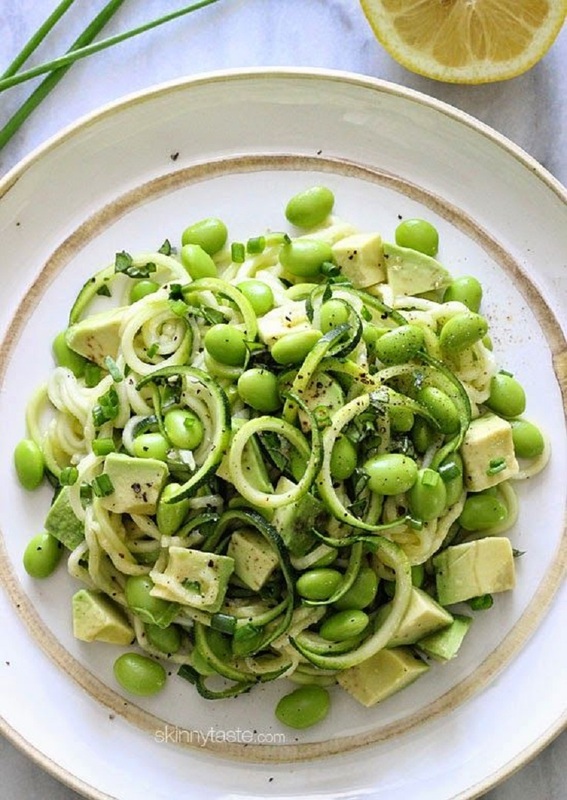 Nothing is healthier and tastier than zucchini noodles with Pesto sauce! This specialty can easily become a favorite clean meal for everyone because it’s tasty, easy to prepare and it comes with picture instructions which will make your life easier! 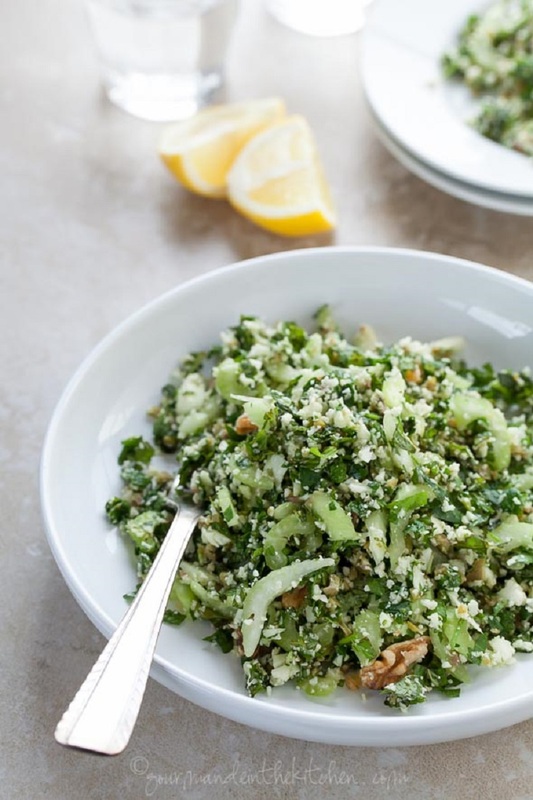 Fresh, quick and delicious – this salad takes less than 5 minutes to make, start to finish and there’s no cooking involved, so it’s perfect for the summer because you won’t heat up your kitchen! If you’re a fan of the original wonderpot recipe, you’re gonna love this one! We think we even like this combination of mushrooms, artichoke hearts, and spinach even better. 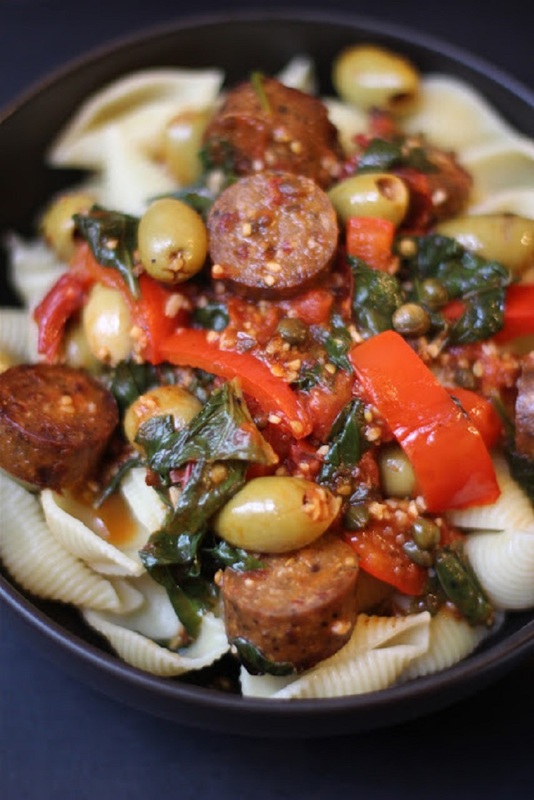 It has a rich, earthy flavor that made us want to eat it straight from the pot! Pizza sounds like calorie bomb, but this one is only called “pizza” because of the shape and the whole look. Actually it’s clean, healthy, breakfast pizza. Mixing fruit and vegetable can be so fun and delicious. For this summer meal you will need the following ingredients: 2 cups watermelon, 1 cup cherry tomatoes, 1 cup cucumber, 1 tbsp. 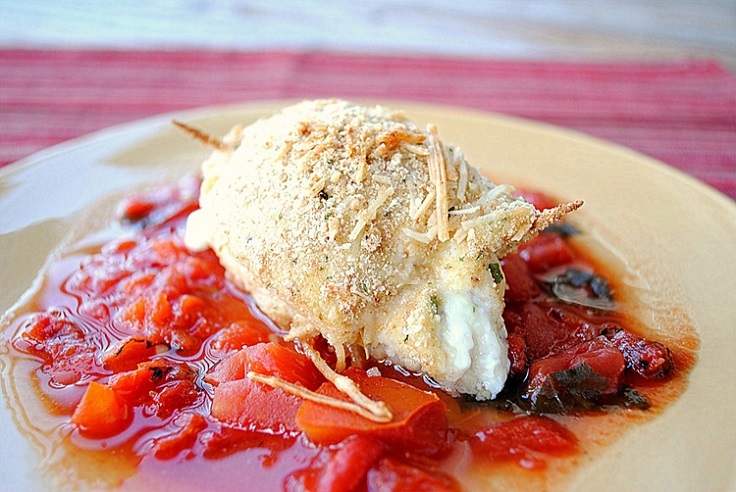 light goat cheese,, 2 tbsp. mint leaves, 1 tbsp. balsamic dressing , ¼ tsp. salt and ¼ tsp. pepper. 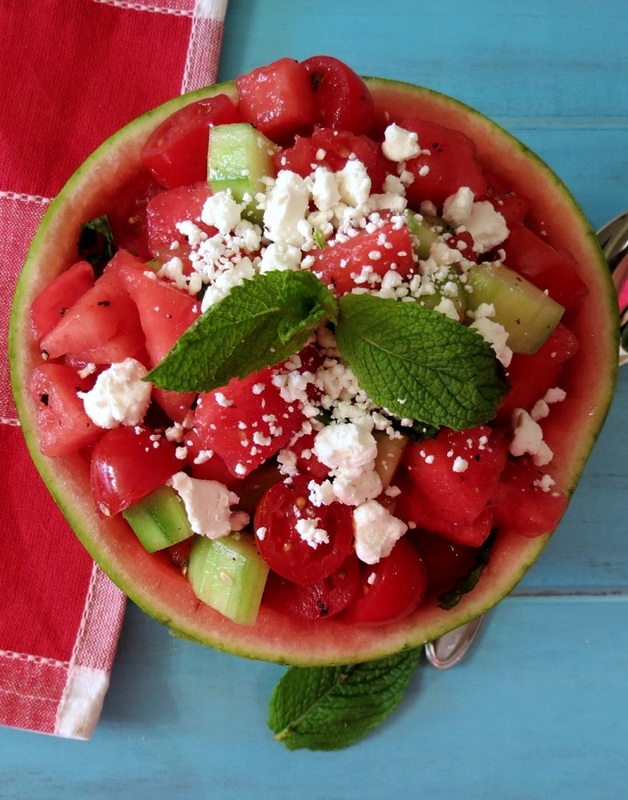 Mix everything in a bowl or in an improvised watermelon bowl, enjoy. 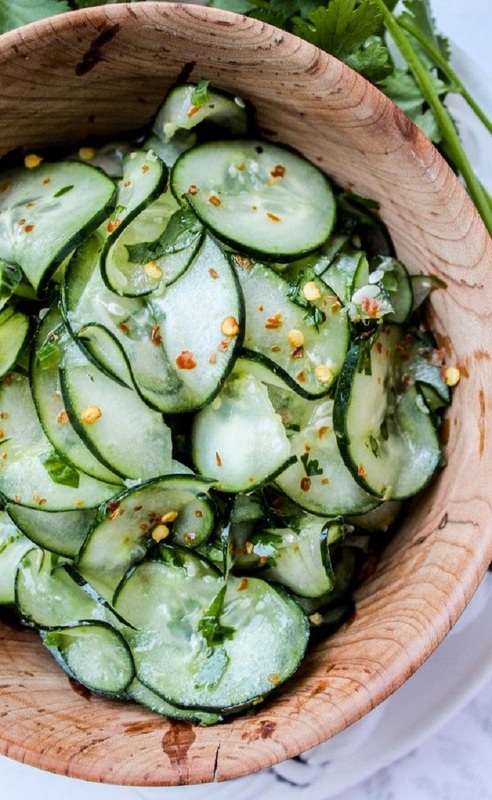 You can eat clean and still snack between meals! In fact it is recommended to have small healthy snacks between the meals in order to keep the hunger away and stay on track. These popsicles are such a great idea as they are actually made of previously made smoothie that is simply freezed. That means you can freeze some of your breakfast smoothie from the previous day and make a tasty snack for the next day. Start the day with a delicious and healthy blackberry smoothie made with 2 frozen bananas, 1 cup frozen blueberries, 1 cup coconut water and Paleo Hero primal muesli. 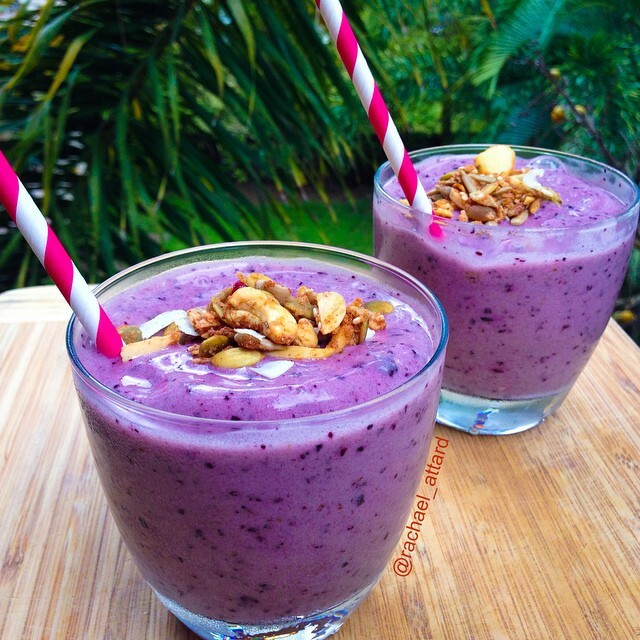 It is simple to make this smoothie – just blend the fruit with the coconut water and top them with muesli. Pasta can be healthy too, just skip white pasta drowning in mayo and stick whole wheat pasta and veggies. 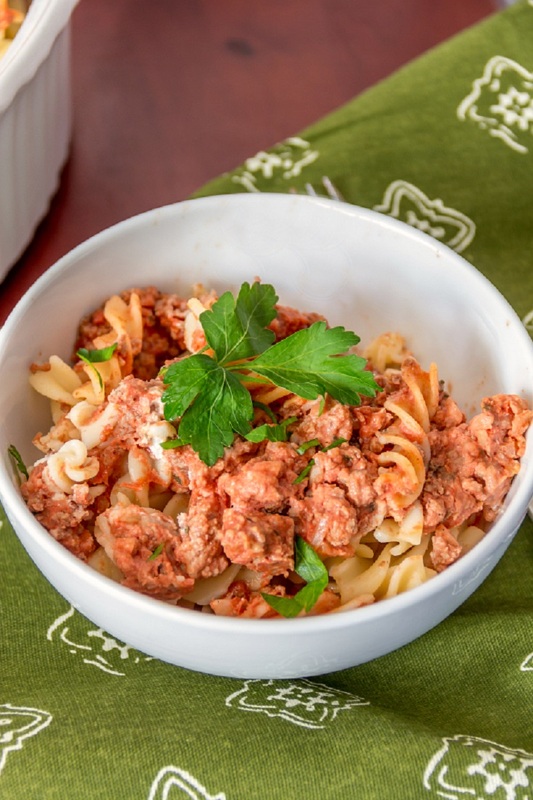 This particular tomato & feta pasta is delicious and makes a great lunch option. 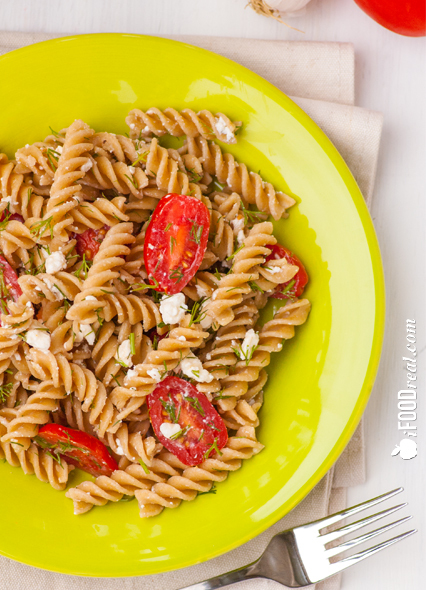 It is made with whole wheat pasta, ripe tomatoes, reduced fat feta cheese, fresh dill, fragrant garlic and coconut oil. 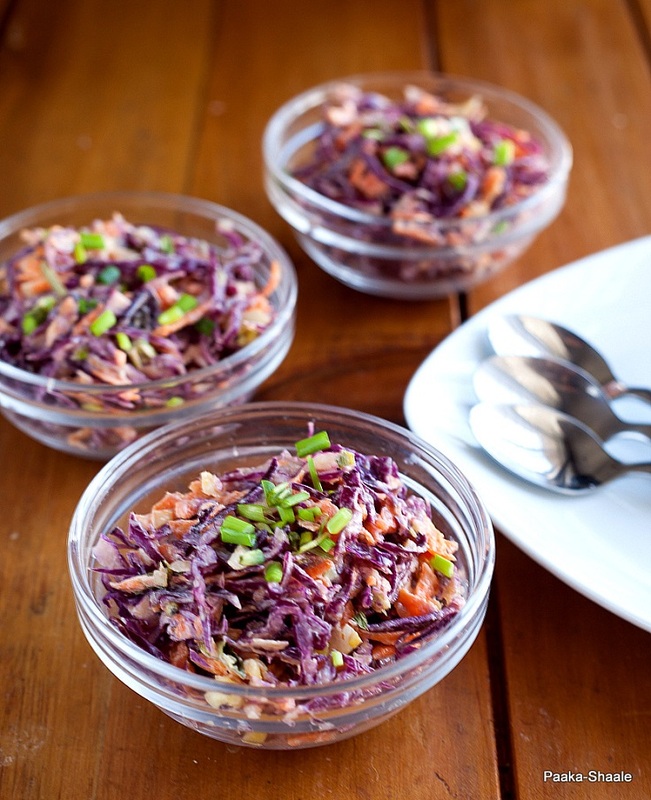 This clean eating red cabbage salad is a perfect, fresh dinner starter. 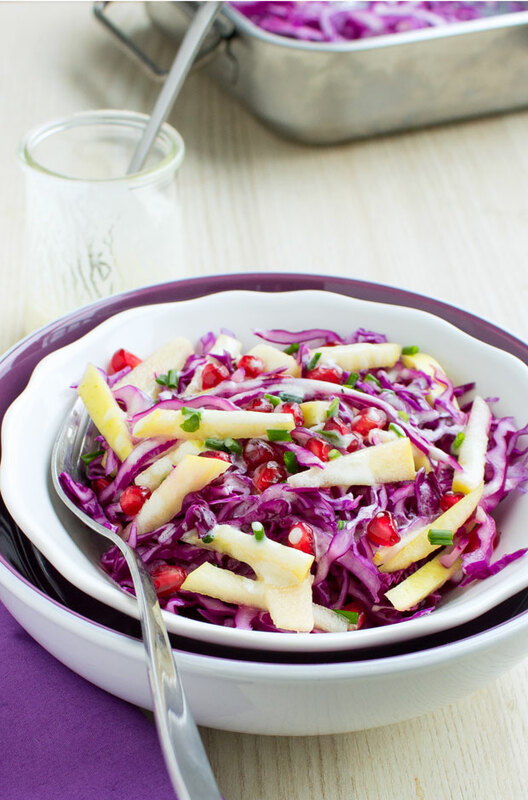 This tangy raw slaw is also supremely cleansing. It is crunchy and delicious – you will simply love it! The recipe makes 2 large or 4 small servings. We love the cabbage/apple combination. 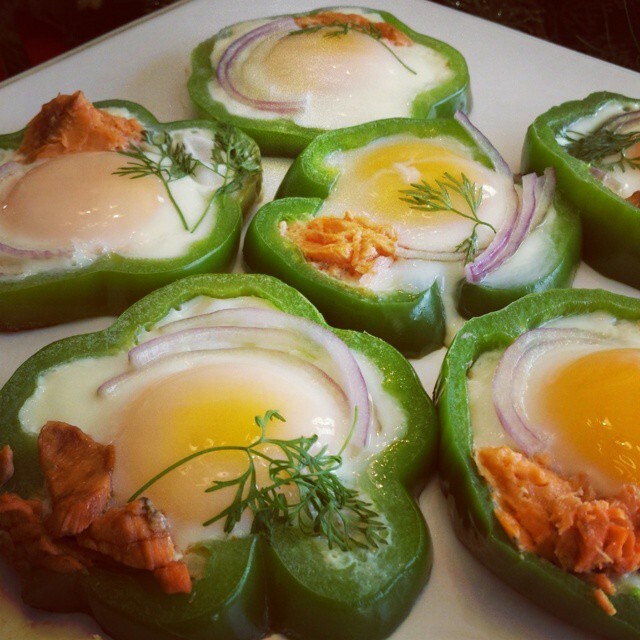 Be creative from the very start of the day by making these awesome eggs in bell pepper rings. They look so cute and taste so divine. Prepare them as a surprise breakfast in bed for your love one, or enjoy them with your family on a weekend morning. To make these eggs you will need: bell peppers in different colors, eggs, sea salt and pepper. Let yourself be creative with the topping as well. Choose fresh Dill, Chives, salmon, sliced red onion or whatever you prefer. While green cabbage is the most commonly eaten variety of cabbage, we highly recommend trying red cabbage because of its nutritional benefits and its robust hearty flavor. The antioxidants in the purple cabbage are easier for your body to absorb from a cooked state. For the best benefit, eat a mixture of raw and cooked purple cabbage. The added sugar and balsamic vinegar caramelizes with the tomatoes creating a sweet combination alongside the fresh basil and mozzarella. The flavours are pretty much a party in your mouth, take that as you will. We ate this over grilled chicken breasts, but this would also taste amazing as a bruschetta on toasted baguette slices or even just a side salad! Pasta alla Puttanesca is actually called Pasta alla Sorrentina in my book – probably because Puttanesca means something like “whore style.” Even with a name like that, this Neapolitan dish is pretty well known and popular in restaurants everywhere. These are fabulous little appetizers for any party, or in our case, they made perfect finger foods for our football Sunday! Yes, we are fully aware that the Skins are no longer playing. We love this recipe. It’s a no-fail crowd pleaser regardless of who we are serving. It’s a very versatile dish. Add veggies, different meats, even change up the spices if you like. You can, of course, also use other cheese as well. Sounds healthy doesn’t it? Yeah well we wanted to do a lightened up version for those that have cut this sinful dish completely out of their diet. Welcome back chicken parm! WeI put shredded reduced fat mozzarella cheese in the chicken along with chopped fresh parsley and wrapped the chicken around it. We coated the stuffed chicken with whole wheat bread crumbs and reduced fat parmesan cheese and baked them instead of frying. 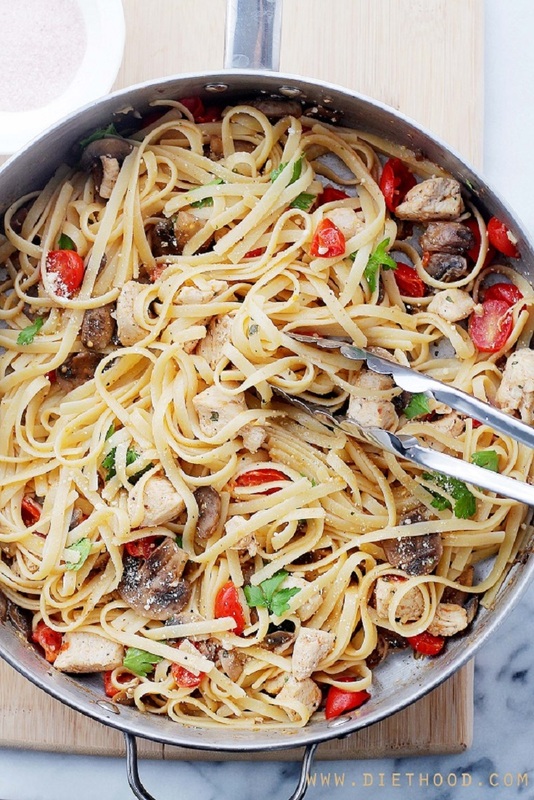 One-pan Lemon Chicken Fettuccine is a fresh and easy take on dinner, tossed with tomatoes, mushrooms, lemon juice and olive oil. And, while this pasta dish is pretty and comforting, and easy, it’s also warm, citrusy and incredibly delicious. 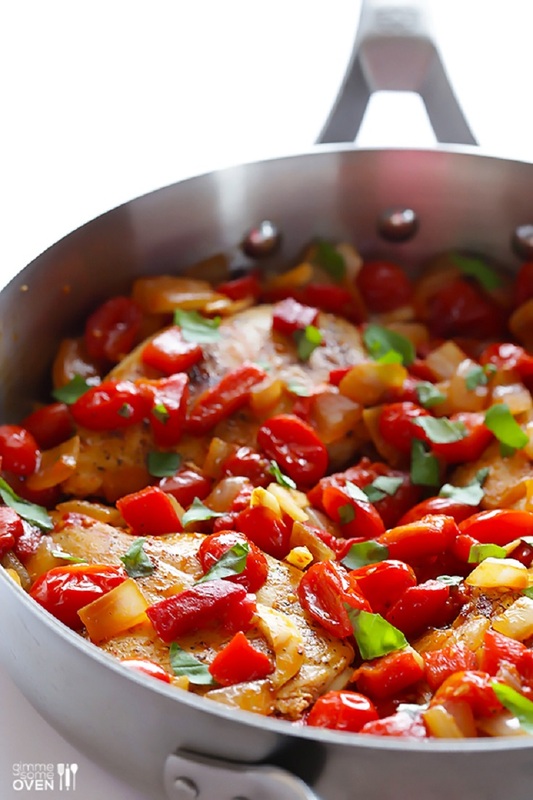 This Easy Italian Chicken Skillet recipe is full of all sorts of delicious fresh flavours, and is ready to go in less than 30 minutes! We mean, just look at it. 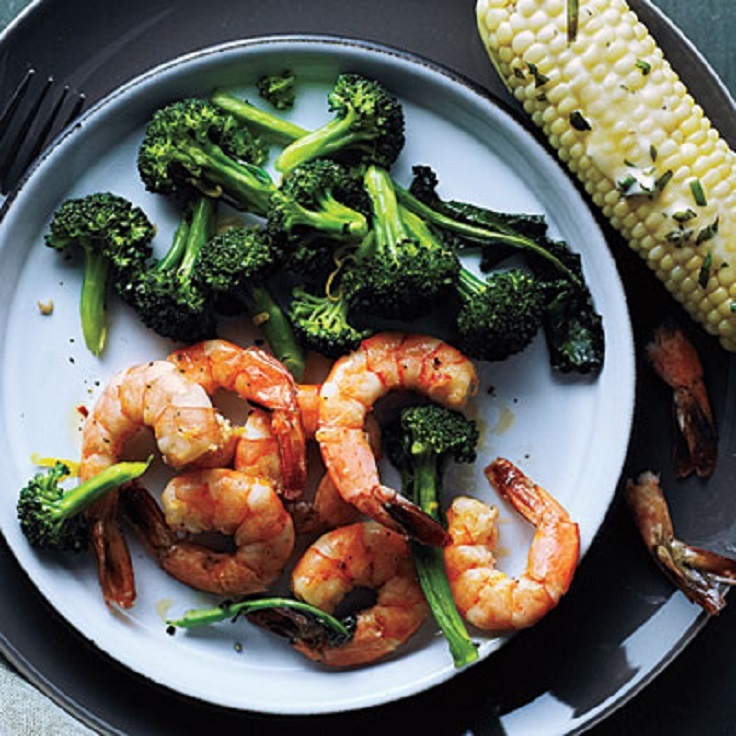 It’s basically summer in a skillet. 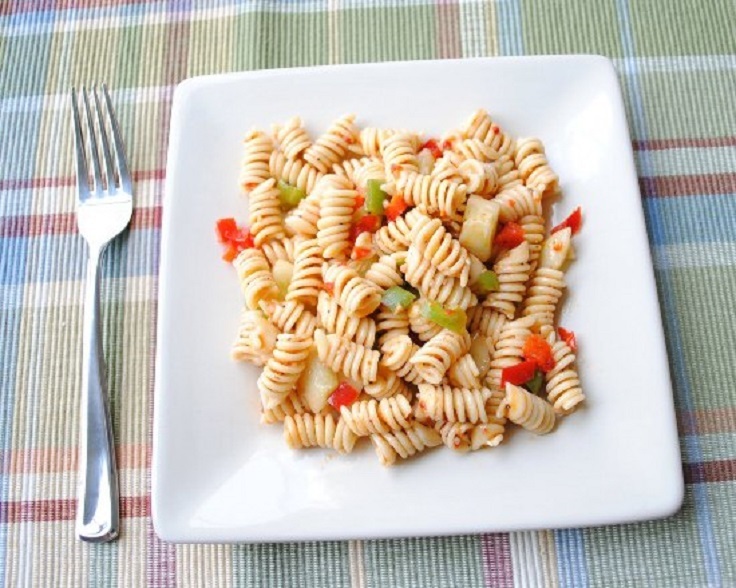 This pasta salad also goes great with turkey burgers or grilled shrimp, perfect for the summer! Now we are sure you could find an even healthier Italian dressing to use or even make your own using oil and vinegar, but in our opinion, this recipe wouldn’t taste as great as it does without using Zesty Italian dressing. If you’re a fan of the original wonderpot recipe, you’re gonna love this one! We think we even like this combination of mushrooms, artichoke hearts, and spinach even better. It has a rich, earthy flavour that made me want to eat it straight from the pot! 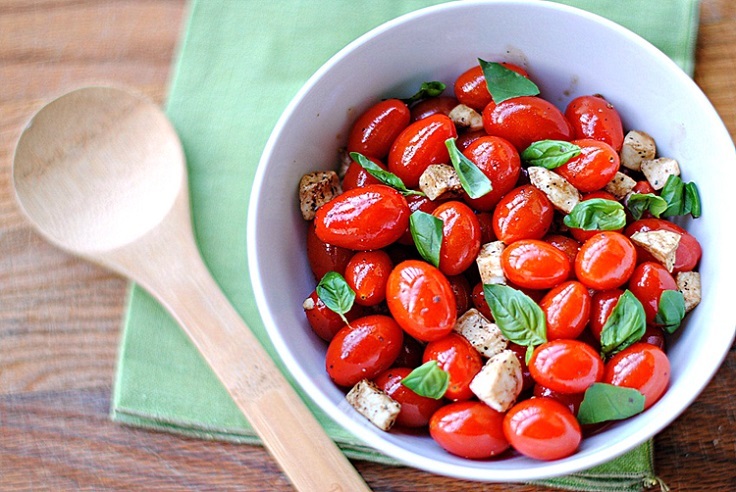 Simply sprinkle with a little sea salt and pepper and the bruschetta will do the rest! We think the next time we make this we’ll try breading the chicken with whole wheat breadcrumbs along with some garlic and herbs, adding more flavour with a nice crunch. Who knows, maybe it will be similar to eating the brushetta on a toasted baguette. 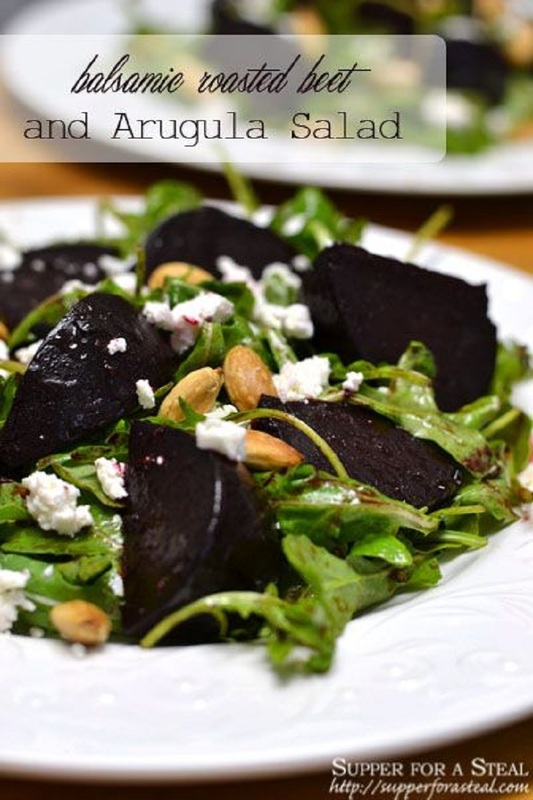 Nutrition wise beets are very low calorie and high in tons of different vitamins and minerals. 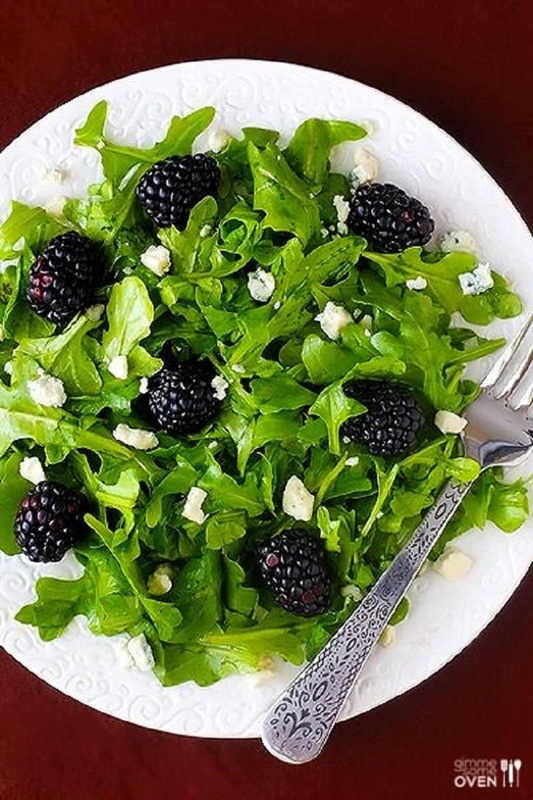 For a healthy salad that is a little different than the usual, you can’t beat this one. 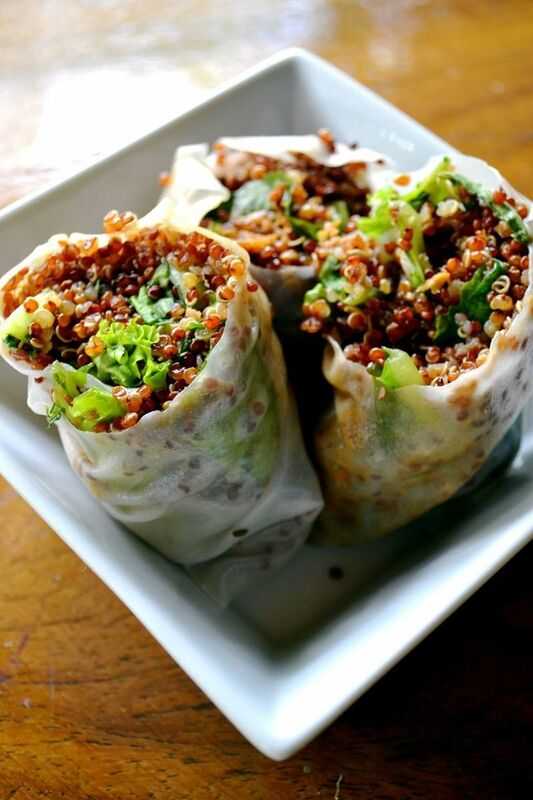 Quinoa is high in protein, complete protein, which means that it contains all nine essential amino acids. 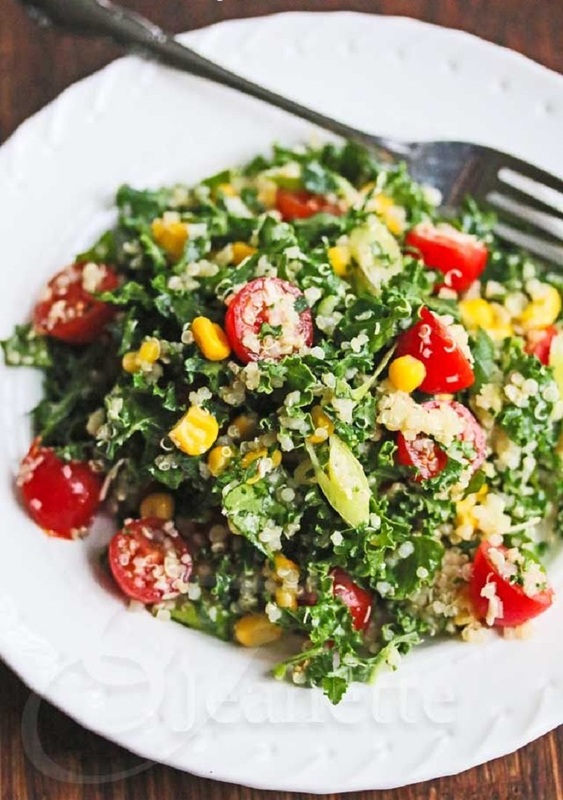 Although quinoa at first appears to be a grain, it is actually the seeds of a plant that is related to spinach, beets and chard. When cooked quinoa seeds become fluffy and slightly crunchy with a bit of nutty flavor. 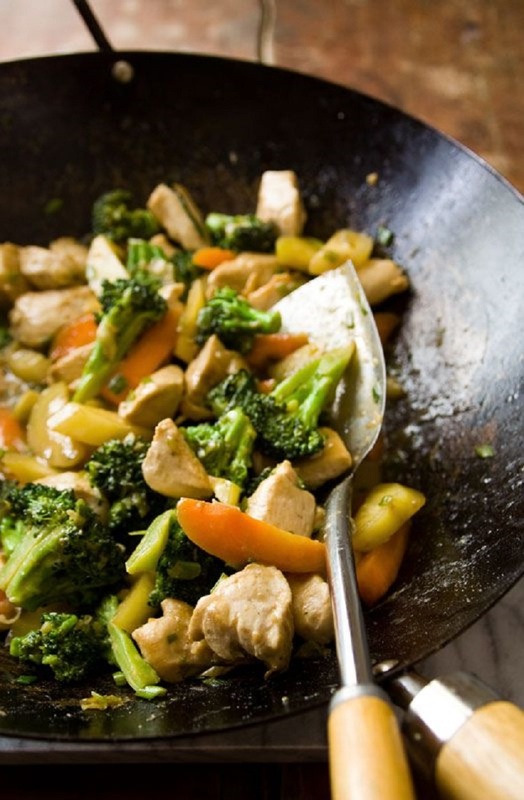 Not only is this recipe fantastically clean, but also a perfectly balanced and healthy meal. To say these are tasty is an understatement! It’s full of veggies and fish! So why not put your favourite condiment into soup? There is really no reason not to. 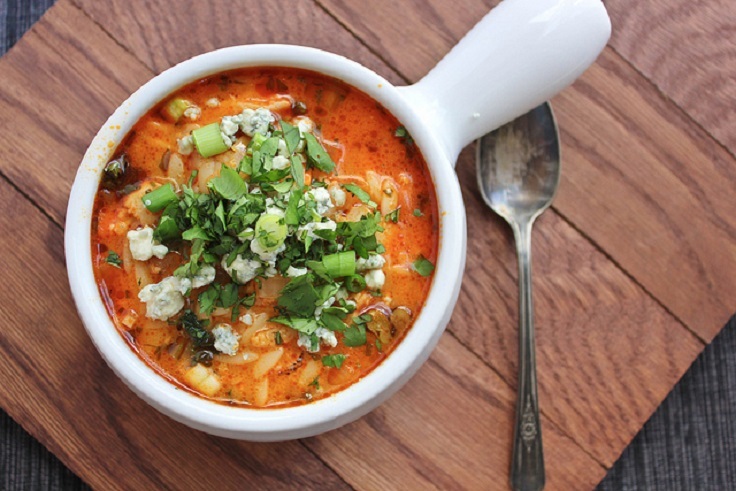 People who love buffalo chicken wings should eat a soup that tastes like buffalo chicken wings. 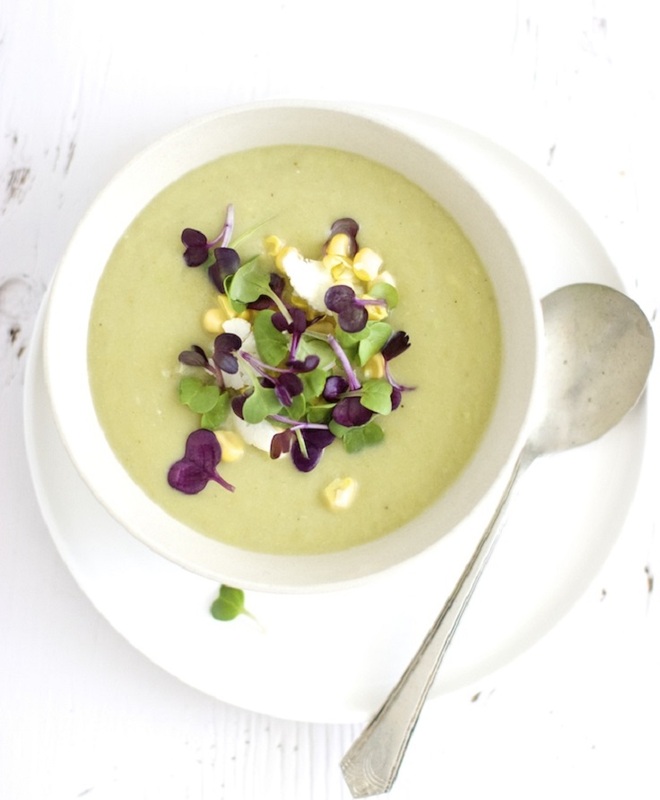 There is another reason you should make this soup – it is so simple. 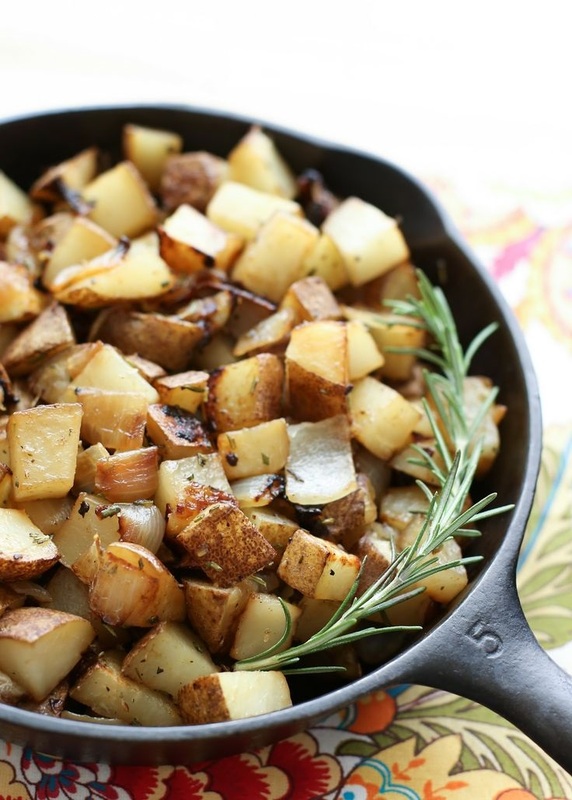 Potatoes and rosemary are always a perfect match, but adding in lightly caramelized onions takes this skillet to a whole new level. A scoop of these potatoes with an egg on top was as close to perfect as a breakfast can get on a weekday morning. 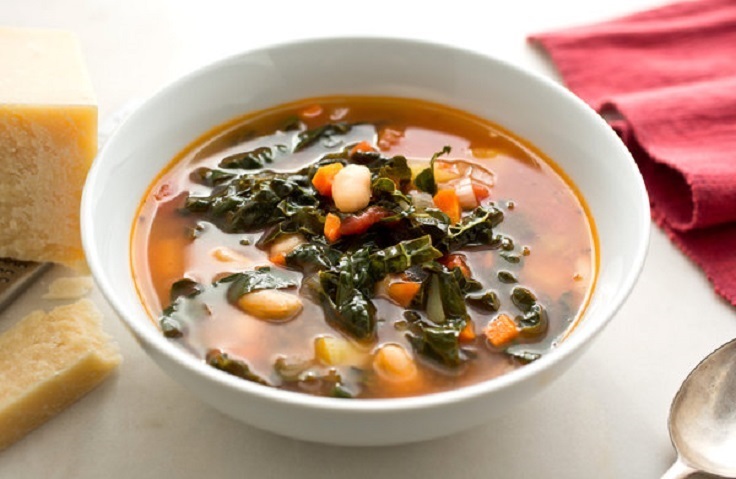 A hearty soup does not always require hours on the stove. This one takes no more than an hour, start to finish. Some of the prep can be done while the soup is simmering. 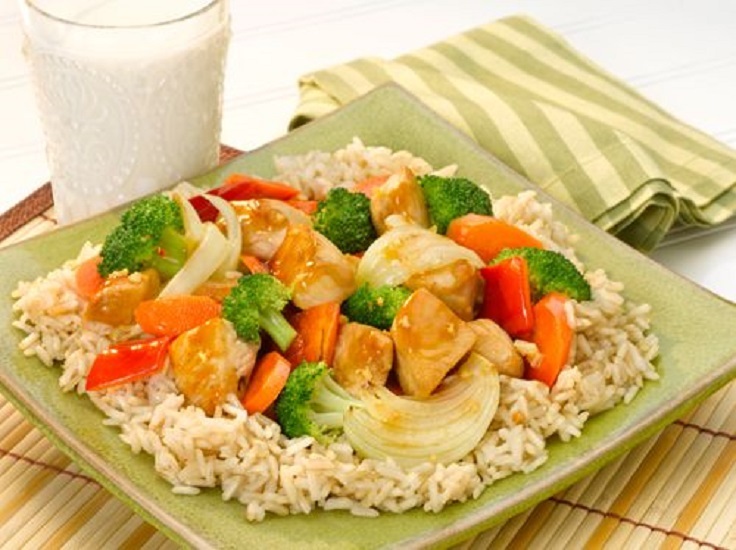 Rice bowls with vegetables and chicken, popular at many restaurants, are appealing to children and adults, alike. And they are simple to prepare at home. It’s a meal in itself and it’s a cinch to make. It’s so cinchy, in fact, that we can summarize the recipe pretty quickly in just a few steps. What we love is how two fairly pedestrian ingredients are combined with a few smart flavourings to incredible effect. 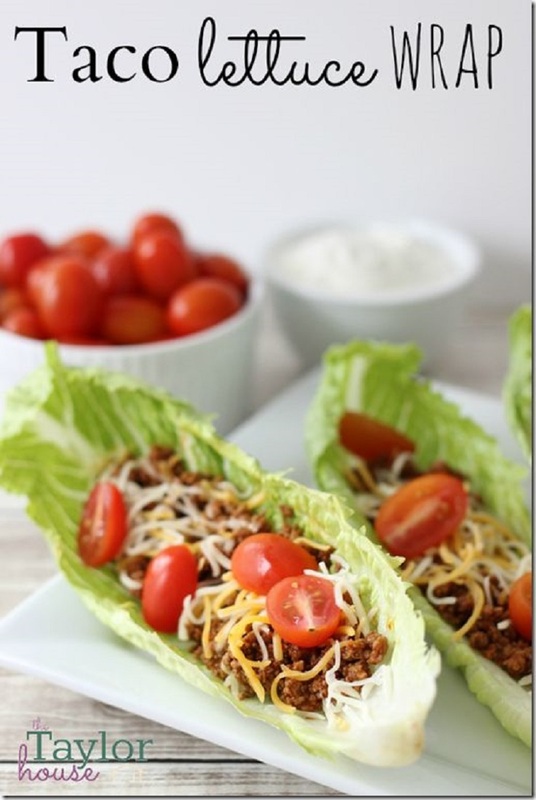 Transform your favourite tacos in clean eating dish. 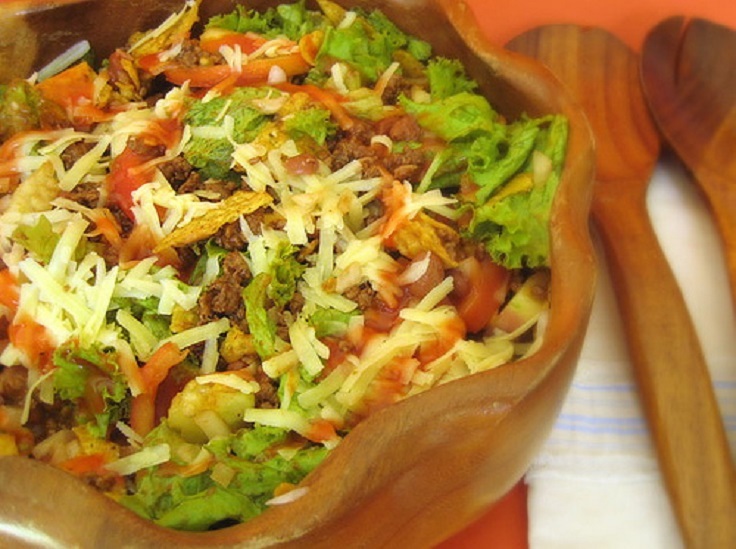 We made this lovely taco salad, and we almost over ate because it was so delish! We were able to stop ourselves before we ate too much, but are we looking forward to lunch tomorrow! Are you hosting a party on your own and you’re in a search for something clean, light and tasty?! 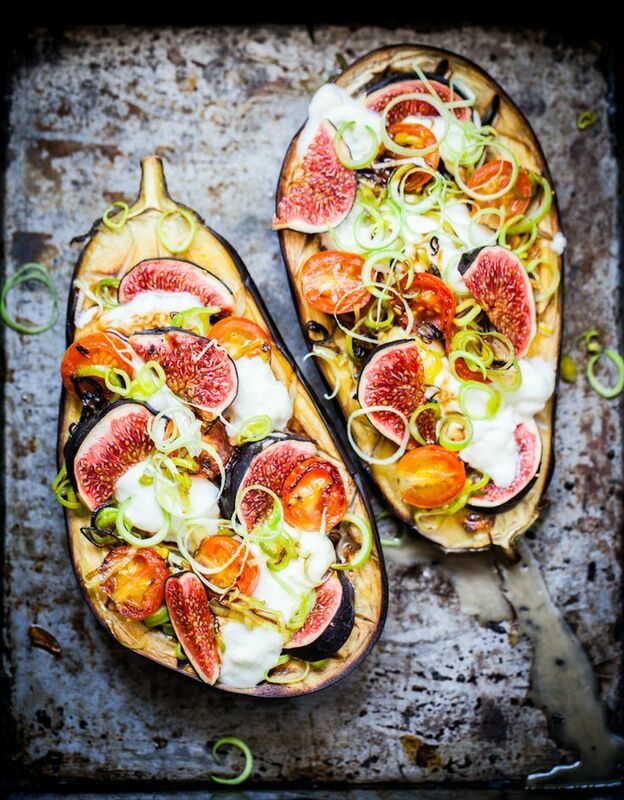 Then look no more and make this baked eggplants which are stuffed with delicious Mozzarella cheese and figs that’re giving an unique taste! Your guests will be satisfied, that’s for sure! 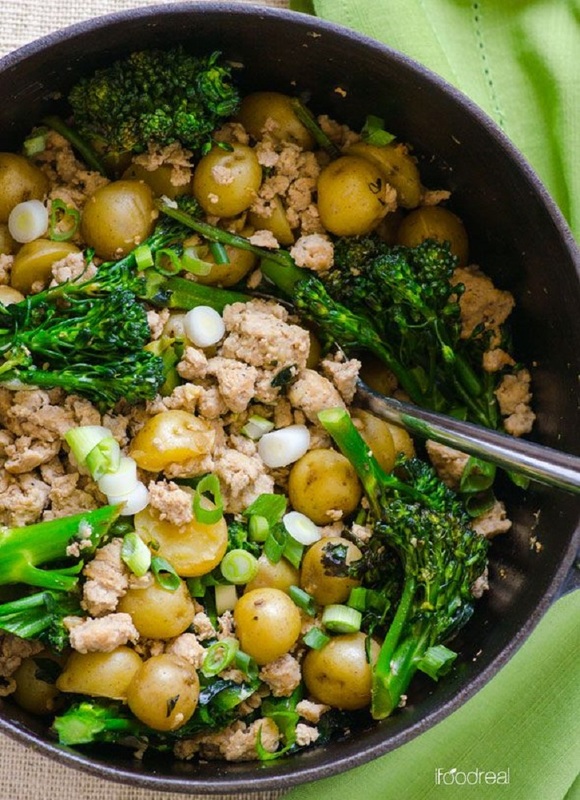 When you don’t have a lot of time and you’re in a need for something completely healthy which won’t take you a lot of time for preparation, then make the famous Broccolini which is a perfect mix of healthy ingredients like broccoli, turkey and baby potatoes! You’ll have an amazing lunch meal in no time! 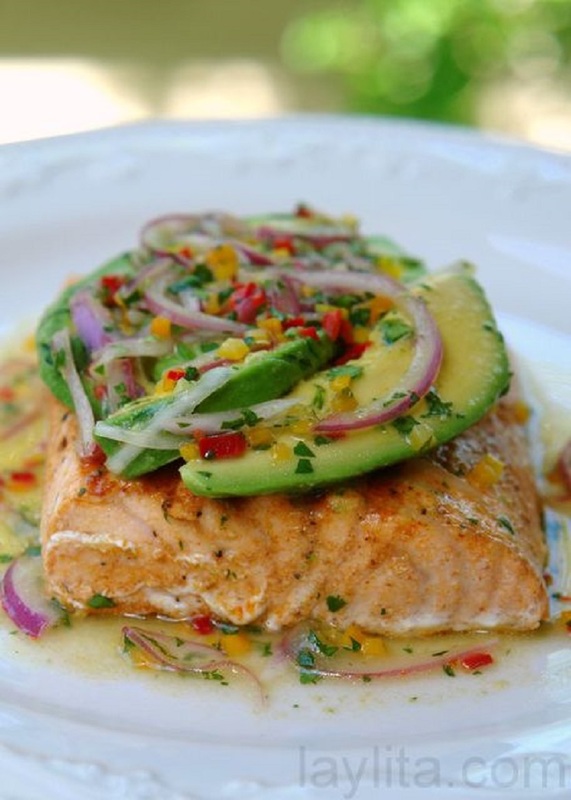 Salmon – the favorite fish in the world can easily become a part of your clean eating plan if you prepare this recipe with creamy avocado salsa and vegetables! It’s something that’ll blow your mind in a minute! 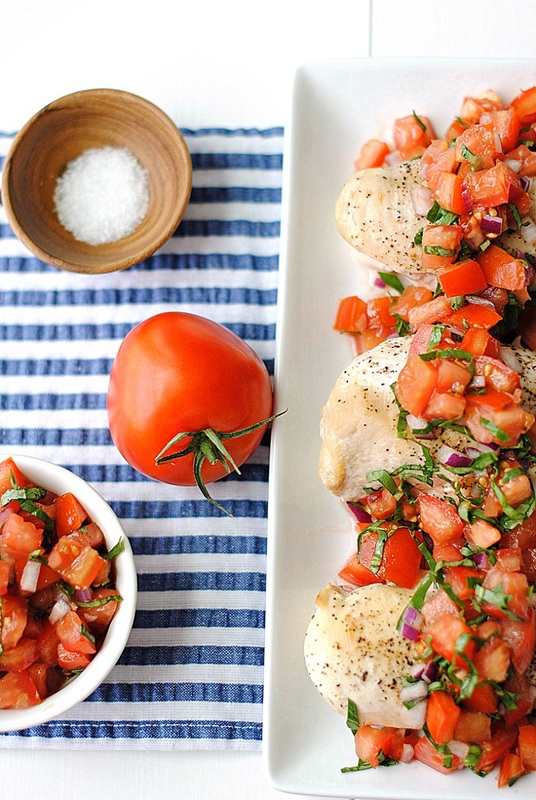 Not every meat can be a part of your clean eating meal plan, but chicken surely does! There are many ways you can prepare it, but we’ve made a decision to include a recipe that’s packed with broccoli! It’s something you’ll want to cook it more often! 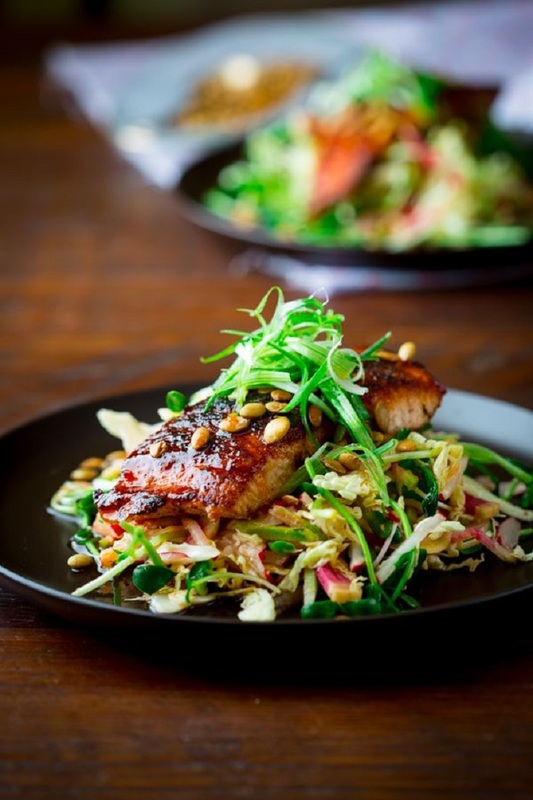 One more salmon recipe, but this one is even more healthier than the previous suggestion, because it’s infused with ingredients that’re high in protein and fiber and it’ll keep your metabolism to go strong! 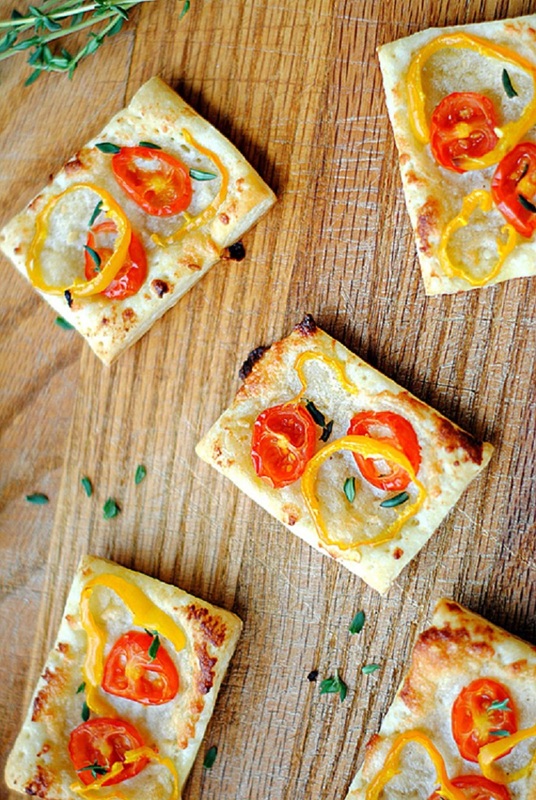 Serve it with a glass of white wine, for a better taste! 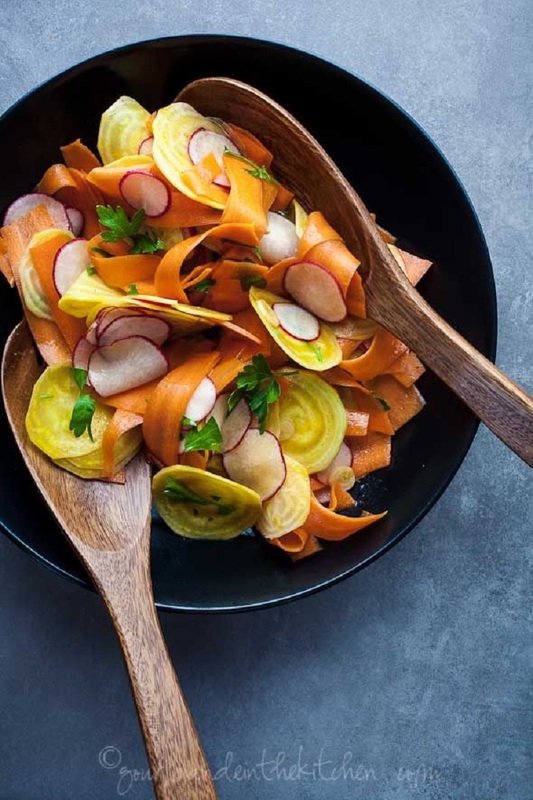 Make a clean salad with beet, radish and carrots and refresh yourself in the best possible way during the hot summer days! For a better taste squeeze lime in it, we assure you that this little trick can do miracles in the kitchen with almost every meal! When it comes to the spring, spring rolls are something that will take you out from your boring cooking routine immediately! 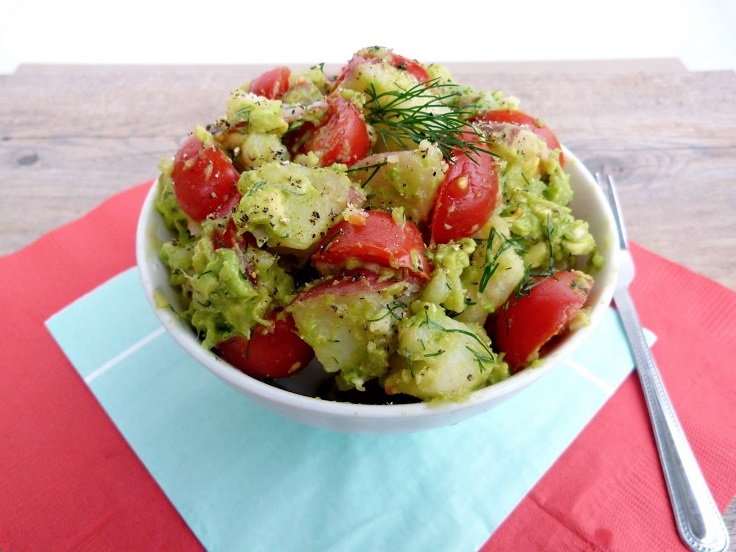 They are perfect for everyone who wants to eat detox food without chemicals! Plus, they have totally rich taste which will make you to crave for more and more! Satisfy your cravings for seafood even when you’re eating clean and prepare spaghetti with shrimps in a way that’s different from anything else! 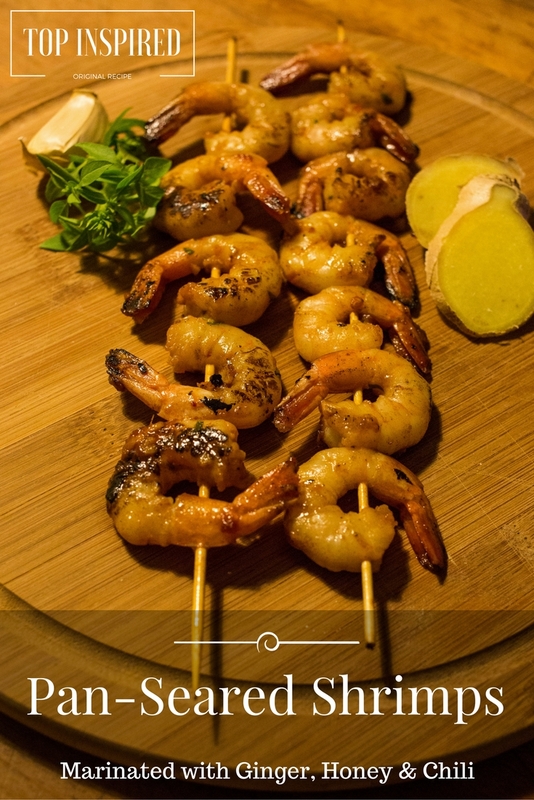 It’s flavorful suggestion, just perfect for all lovers of food rich with spices! 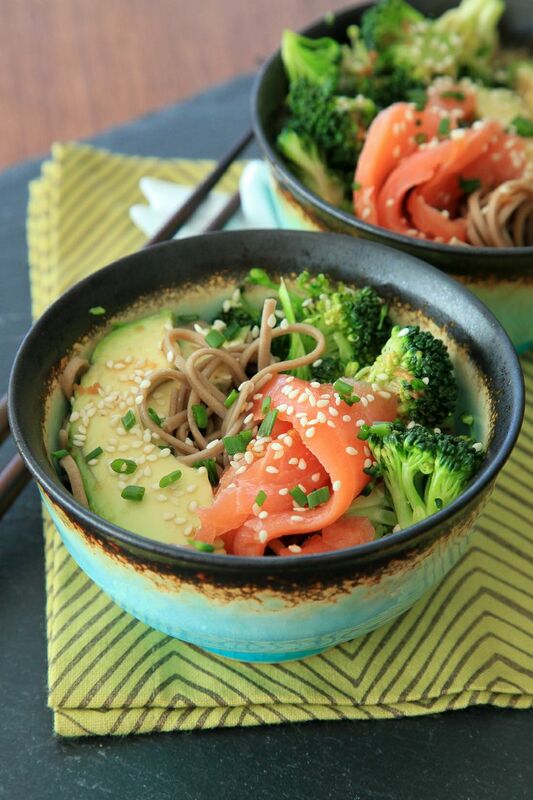 We’re closing our list of clean meals with an idea called Smoked Salmon Soba Bowl! This is out of the ordinary suggestion, the real deal for everyone who wants to try something new and who is interested to experiment in the kitchen! A colorful dish, filled with good nutrition is what you need. 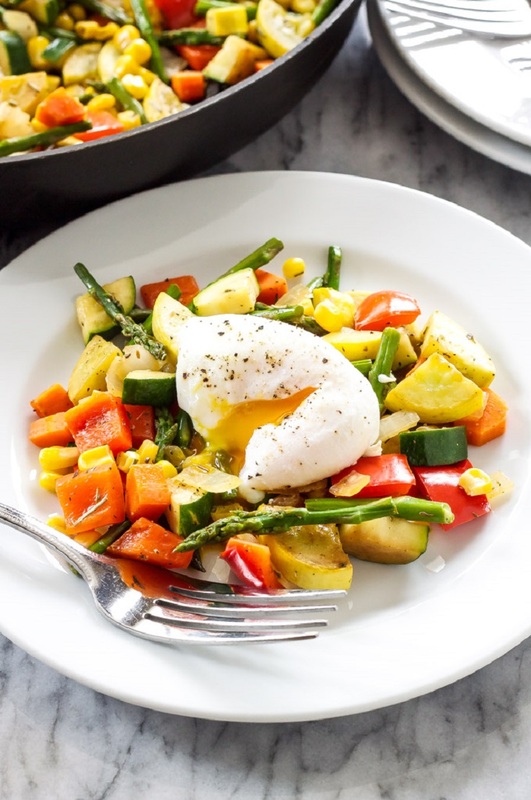 Ingredients: 1/2 of a yellow onion, 1 red bell pepper, 1 large carrot, 1 zucchini, 1 summer squash, 1/2 pound asparagus, 3/4 teaspoon kosher salt, 1/2, teaspoon dried thyme, 1/2 teaspoon dried rosemary, 1/4 teaspoon black pepper. For the poached eggs you will need: 4 eggs, 2 teaspoons white vinegar and 1 teaspoon kosher salt. Heat a skillet and add the onion, carrot, bell pepper, and 1/4 teaspoon of salt. After couple of minutes stir in the asparagus, zucchini, summer squash, remaining 1/2 teaspoon of salt, black pepper, thyme, and rosemary. Cook for another 4 minutes. The making of the poached eggs: Bring water to a simmer and add the vinegar and salt. Crack the eggs and coo for 2-3 minutes. Chocolate and banana is a sweet combination that everyone loves. It will feel like you’re eating a guilty – pleasure dessert, except that this will be guilt – free. 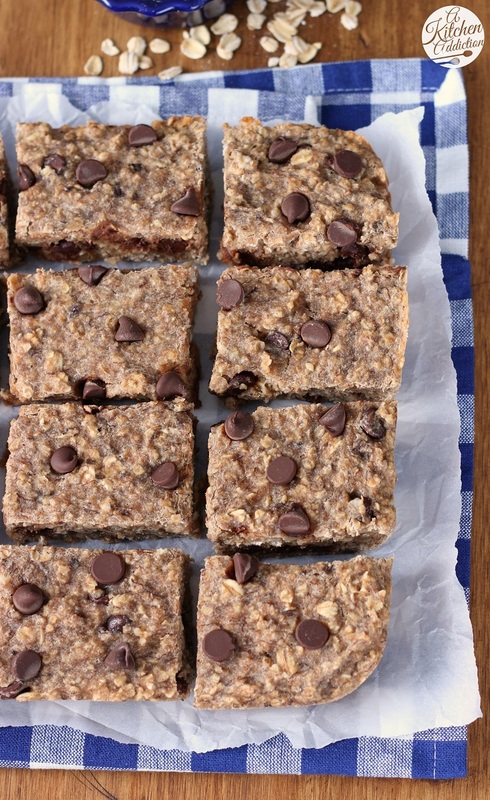 To prepare your own chocolate chip banana bars, you need the following ingredients: 1½ C regular or quick oats, 1 C whole wheat flour, ¼ C ground flaxseed, ½ tsp baking powder, ¼ tsp salt, ½ C + 2 tbsp buttermilk, 2 ripe medium bananas, mashed, 3 tbsp coconut oil, melted, 3 tbsp honey, 1 egg, 1 tsp vanilla extract and ⅓ C semi-sweet chocolate chips. Top it with more chocolate chips for extra chocolate experience! Strawberries are the fruit that you should consume more often thanks to the rich amount of antioxidants, vitamins and other nutrients that will have benefits on your health. 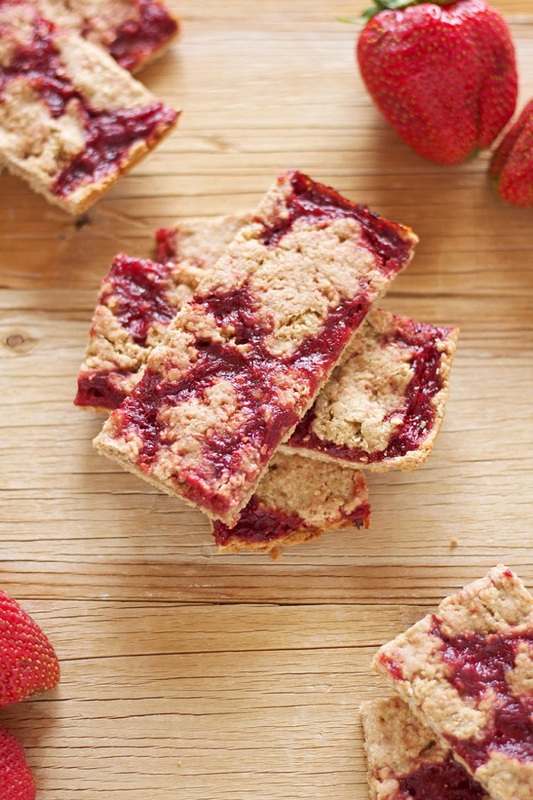 Including them in your breakfast can result with these tasy breakfast bars. You need 1 cup whole wheat flour, 3/4 cup old fashioned oats, 1/4 cup brown sugar, 1/4 t. kosher salt, 1/2 t. cinnamon, 4 T. cold unsalted butter, cubed, 3 T. plain non fat Greek yogurt, 1 t. vanilla extract (optional), 2-3 T. ice cold water and 1/3-1/2 cup strawberry jam or any other jam by your choice. 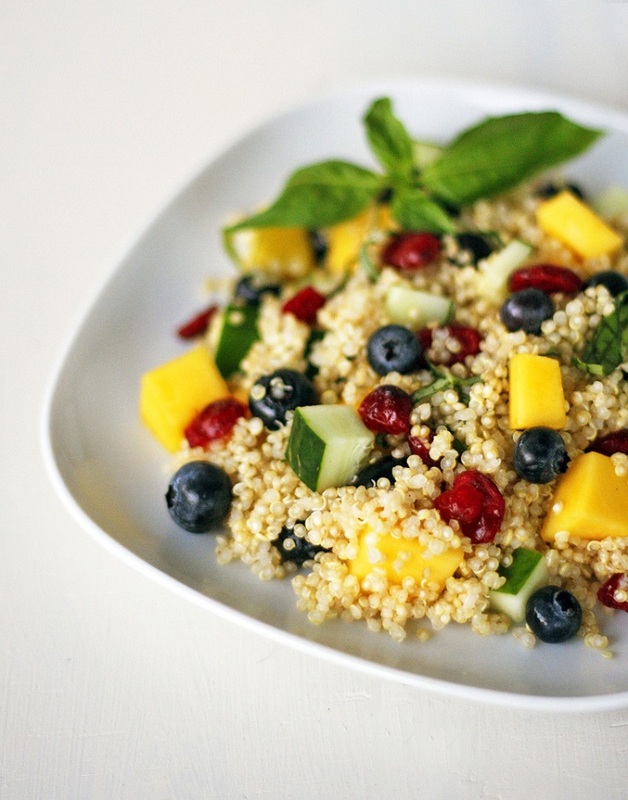 We’ve previously talked about the quinoa’s benefits, now let’s say something more about chia. The chia seed is non – GMO and gluten – free as well, while in the meantime provides us with fiber, omega 3 fatty acids and protein. 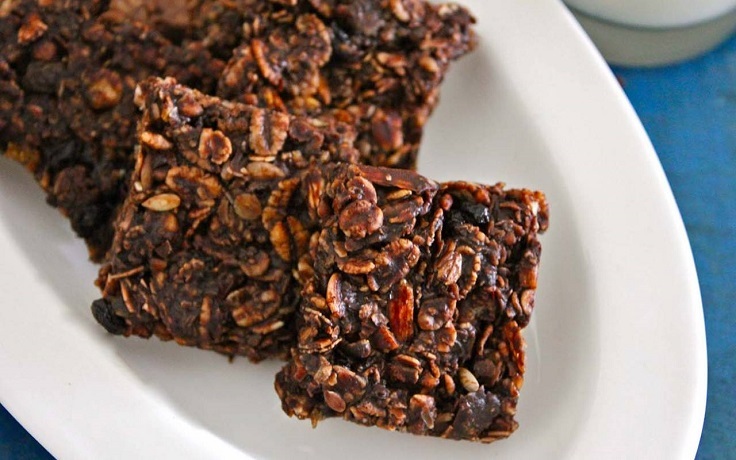 Mix these two with banana and you will get amazing breakfast bars. Here are the exact needed ingredients: 1 cup gluten free rolled oats, 1/2 cup uncooked pre-rinsed quinoa, 2 tablespoons chia seeds, 1/4 teaspoon salt, 1 teaspoon cinnamon, 2 ripe bananas, 1/2 teaspoon vanilla extract, 1/4 cup roughly chopped almonds, 1/4 cup chopped pecans, 1/3 cup dried fruit (raisins or cranberries work well), 1/4 cup natural creamy almond butter and 2 tablespoons honey or pure maple syrup. Is there anyone who doesn’t like peanut butter? 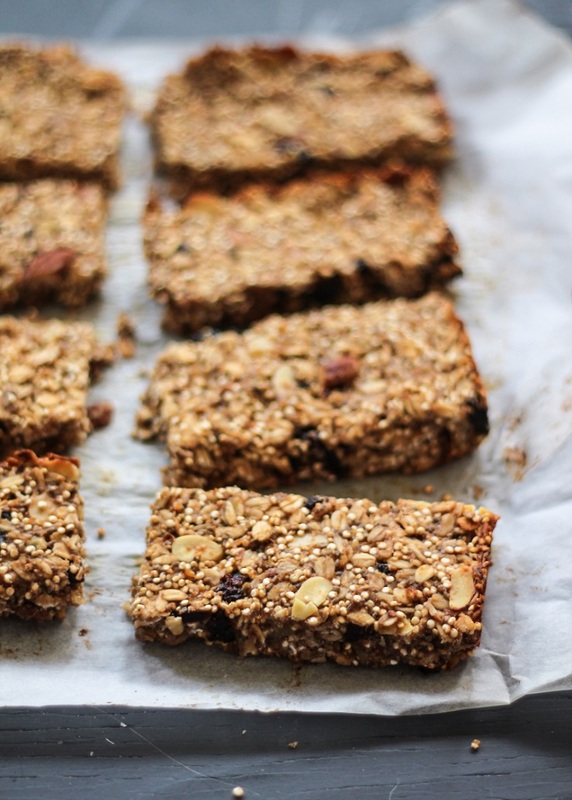 Seriously, it is really one of the best ingredients when it comes to desserts, or in this case breakfast bars. The peanut butter is high in calories, but it contains protein, fiber, healthy fats, magnesium, vitamin E and antioxidants. So, if you consume it the right way, you won’t get extra pounds and yet feed yourself the right way. 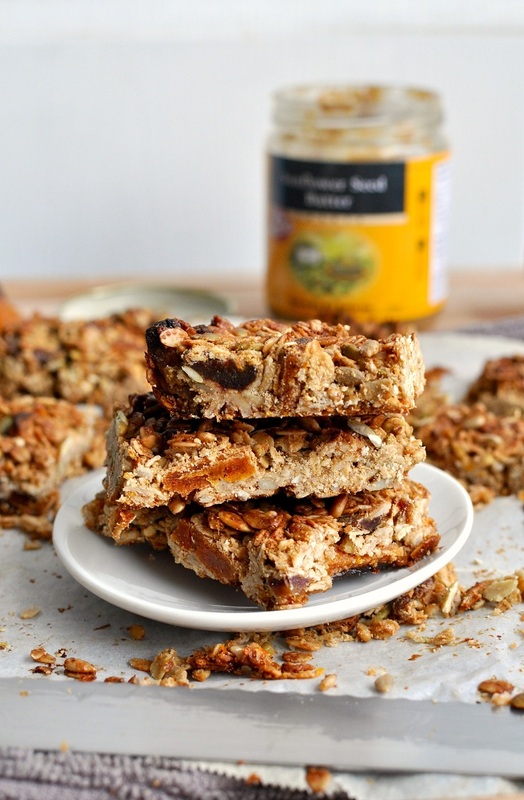 To prepare your own peanut butter bars, you need 2 cups (180 g) rolled oats, 3/4 cup (80 g) raw slivered almonds, 1/4 cup (28 g) raw sunflower seeds, 1/4 cup (20 g) unsweetened shredded coconut, 1/2 cup (128 g) creamy or crunchy peanut butter, 2 Tbsp (30 ml) coconut oil, 1/4 cup (60 ml) maple syrup or agave nectar and 20 Medjool dates. 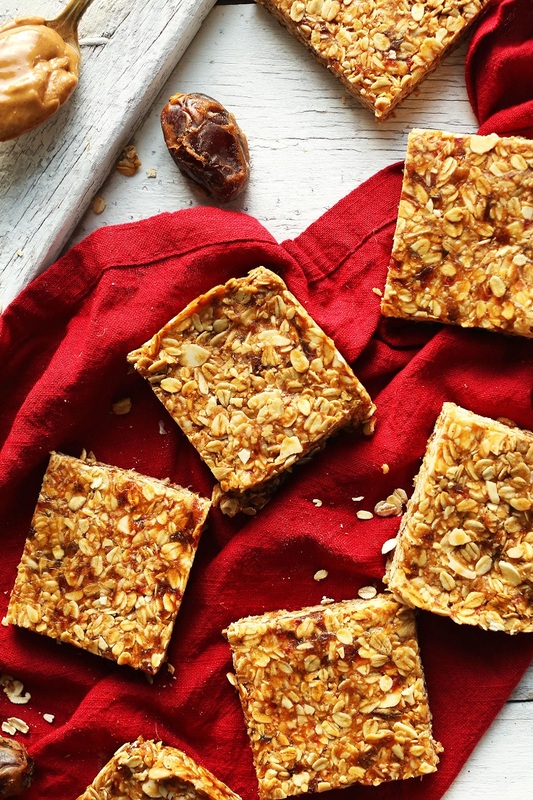 Apricot isn’t the fruit that you will find most often in desserts, but even when it comes to our breakfast bars, you should definitely give it a try. This fruit is rich in vitamin A and is a good source of potassium, copper, fiber and vitamin C. However, the recipe uses pumpkin seeds which are very healthy as well! 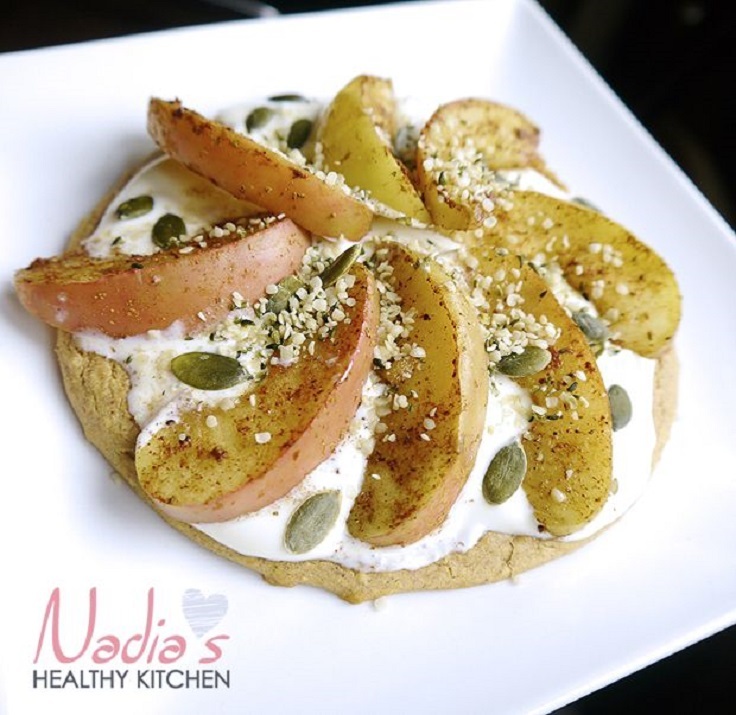 Combine these two with the rest of the ingredients and you’ll have amazing breakfast: 1/2 cup (75g) medjool dates, 1/2 cup (85g) dried apricots, 1 1/4 cup (150g) rolled oats, 1/3 cup (45g) pumpkin seeds, 1/2 cup (55g) sunflower seeds, 1/4 cup buckwheat hearts, 1/2 teaspoon salt, 1/4 teaspoon ground cinnamon, 1/4 cup (70g) sunflower butter, 1/4 cup (45g) melted coconut oil, 1/4 cup (85g) honey and zest of one orange. The blueberries are one of the healthiest fruits you can eat, so use the summer to each as much as you can! This way not only you will indulge their deliciousness, but also have the health benefits they offer. 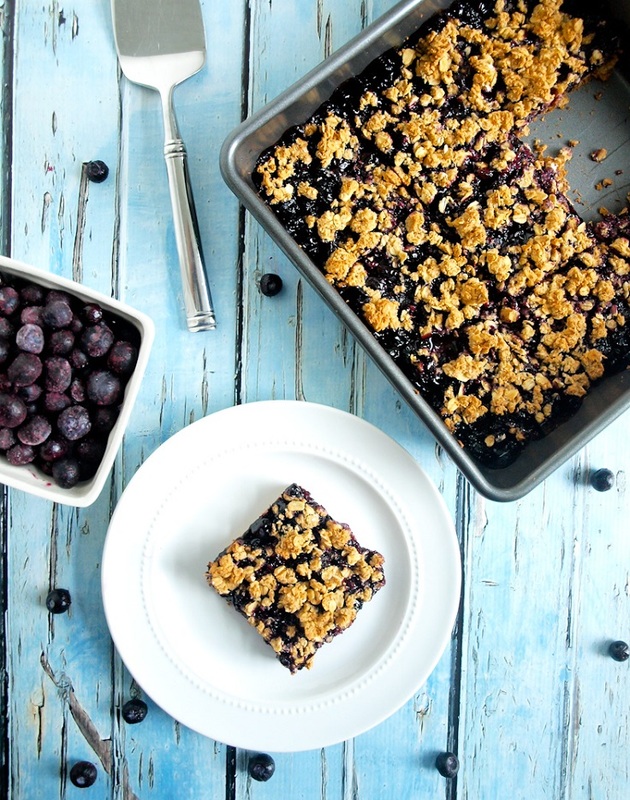 To prepare blueberry bars, you need 1 pint blueberries, 1/4 cup agave nectar, 1/8 cup lemon juice, 1/8 cup water, 1/2 teaspoon vanilla extract, 2 tablespoons arrowroot plus 2 tablespoons cold water (corn starch may be substituted). For the toppings, use 3 cups rolled oats (not instant), 1/2 teaspoon cinnamon, 1 1/2 teaspoons baking powder, 1/4 teaspoon salt, 1/3 cup unsweetened apple sauce, 1/3 cup agave nectar, 1 teaspoon vanilla and 2 tablespoons coconut oil. 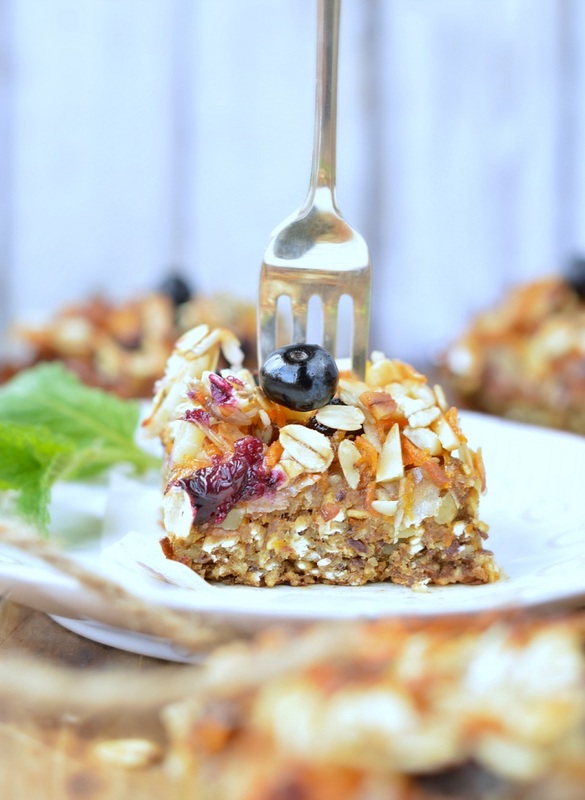 Everyone who likes the classic carrot cake can adjust the recipe and make breakfast bars. However, what makes these bars especially good are the toppings they have. You can experiment with many ingredients, but according to the recipe, you need these: 1/3 cup grated carrots, 1/3 cup silvered almonds or sliced almonds, 2 tablespoon shredded coconut, 1/3 cup dried raisins, 1/4 cup oats, 4 teaspoon coconut oil, 4 tablespoon rice malt syrup or honey, 3 tablespoon almond milk and 1/4 teaspoon cinnamon. You can also use berries for extra taste. Just like the other berries, the raspberries are very healthy and contain strong antioxidants. 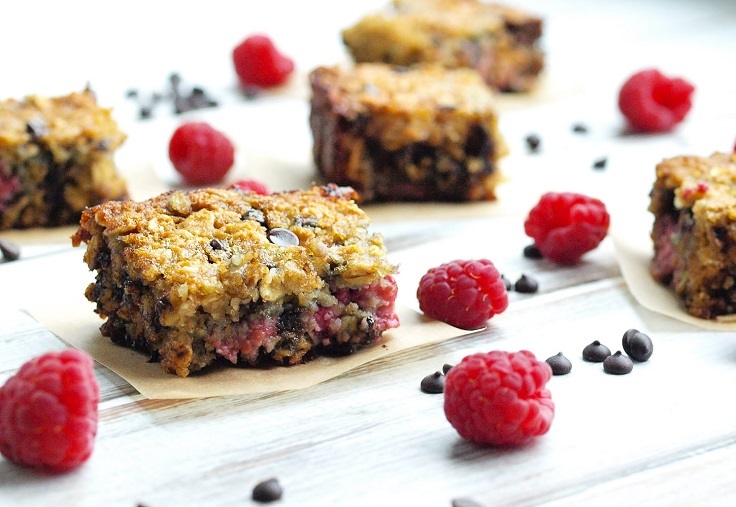 The combination of raspberries and chocolate is one of the most popular when it comes to desserts, and these bars are a way to transform a guilty – pleasure dessert into breakfast. You need: 1 cup almond meal/flour, 1 cup old fashioned rolled oats, 1/2 teaspoon baking soda, 1/2 teaspoon baking powder, 1/4 teaspoon salt, 1/4 cup unsweetened almond milk, 2 tablespoons oil (avocado or coconut oil, melted), 2 eggs, 1/3 cup honey, 1 tablespoon pure vanilla extract, 1 heaping cup fresh raspberries and 1/2 cup mini chocolate chips. How do you get to the actual recipes? Under every photo is the link of the recipes. There is nothing clean or healthy about packaged raman noodles. Just saying. There isn’t ramen in any of these meals. Ramen noodles, ramen noodles, where are youuuuu? I didn’t see Raman noodles anywhere….did I miss something? Many of these recipes don’t seem to be clean or healthy. I agree Karena….Tacos? With a packet? How is that ‘clean’? Tacos are a great “clean” meal, when you use your own spices. 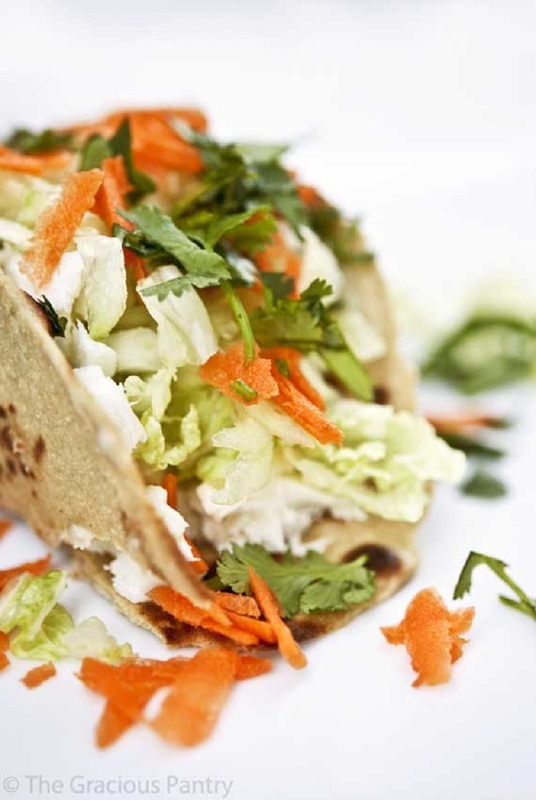 You don’t have to use a packet to make tacos. Who’s using a packet??? It never said anything about a packet. .It’s called cumin, cilantro,etc.. The recipe calls for one! Since when is packaged ramen “clean eating”? Fail. Nice list. I don’t see Ramen either. Perhaps I don’t have my clean eating powers yet that will enable me to see the hidden Ramen recipes. Eek. I am not seeing any recipes that include ramen noodles either. Where are you people seeing ramen noodles? Red and Karen a the tacos are made from lettuce not taco shells and these meals are more healthy than most of what is out there. What I took from all of these recipes is use your own spices to make a taco flavour, some noodles are better than others, so use them. Some people like dairy, but it not being such a good choice, use something else in it’s place. I think it would be common sense? Made this in a 9×13, turned out great. before. So nice to find somebody with a few original thoughts on this topic. Hi there too every body, it’s my first payy a quick visit oof this web site; this blog contains remarkable annd truly excellent stuff designed for readers. you can enjoy a special ‘Cruisin’ at Latimore’ event. If you are going to train outside, long-sleeved tops and trousers are a must. But Tiger Woods and Tom Brady definitely belong in the same “who’s the best ever. this? suppose you added a little information? I ain’t suggesting your content is not good, however suppose you added a post title that makes people desire more? how they create post headlines to get people too open the links. your posts a little bitt more interesting. Maybe it’s my age but I find the seriously close-up photos hard to look at; it is as if the detail is lost in the largeness! Otherwise, the recipes look gorgeous. I will definitely be trying some.